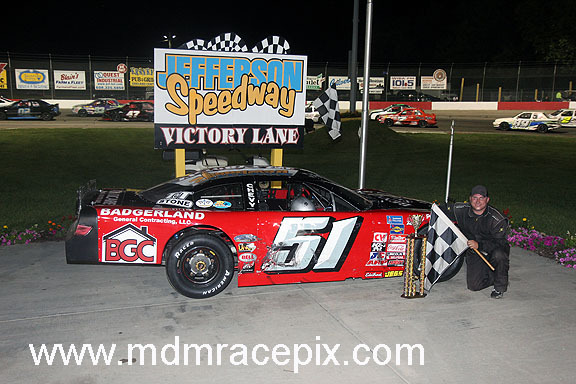 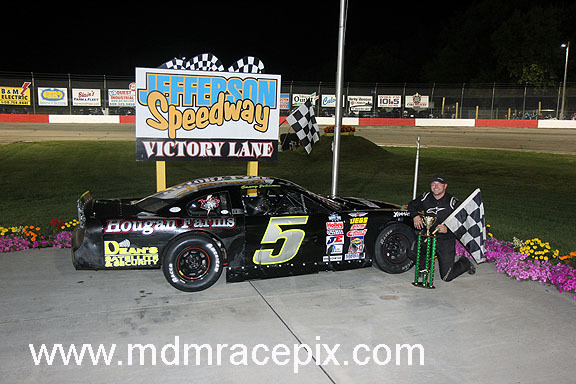 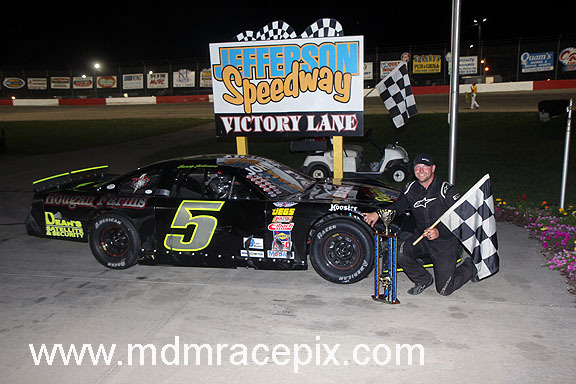 JEFFERSON, WI (Saturday, August 26, 2017) Whenever Edgerton’s Casey Johnson unloads his familiar #5 Late Model at Jefferson Speedway, he is a threat to end the night in victory lane. 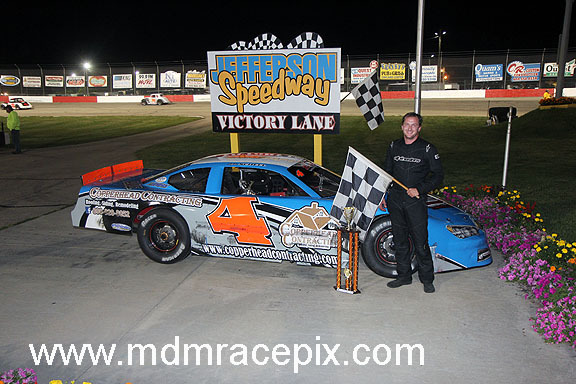 In his previous three visits to Wisconsin’s Action Track in 2017 he has two wins and a second place finish to his credit. 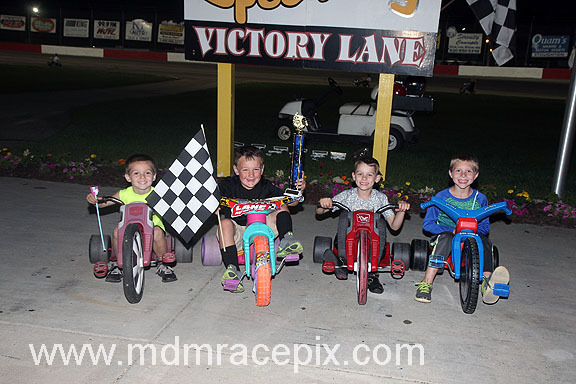 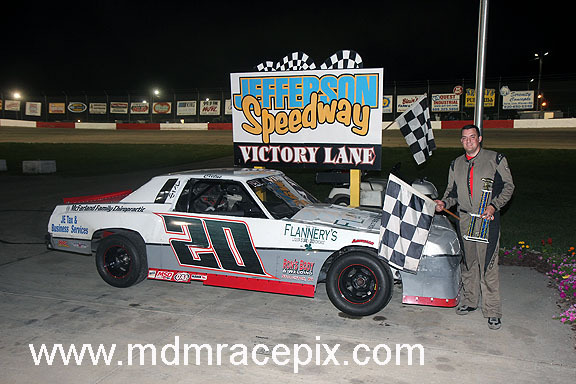 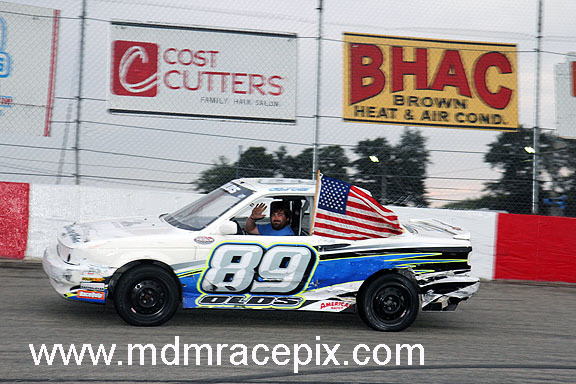 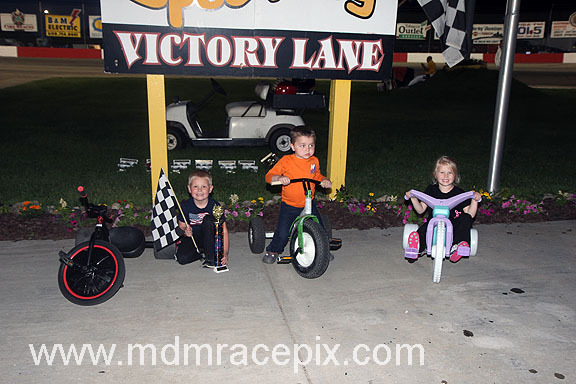 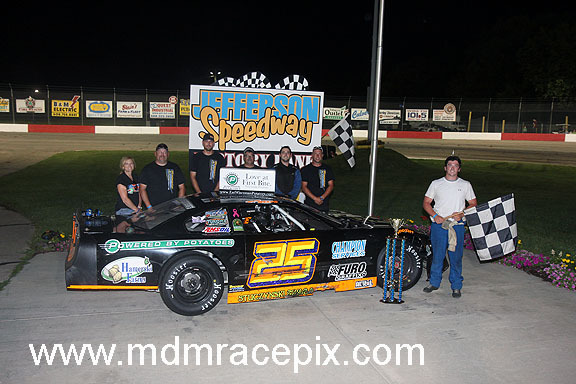 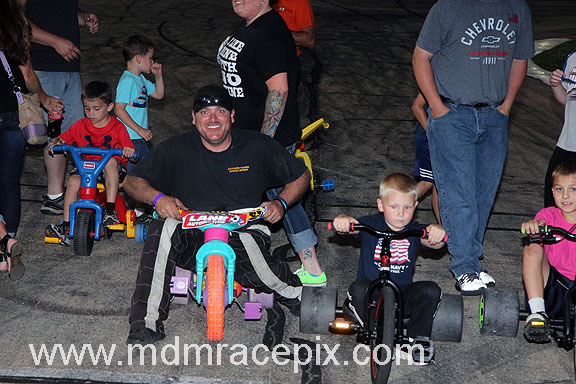 His success this season continued on Saturday night as the three time track champion once again put his ride out front and claimed the Cost Cutters Family Hair Salons 50 lap feature event. 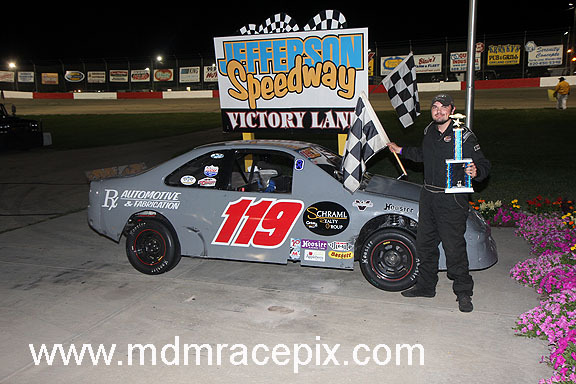 JEFFERSON, WI (Saturday, August 19, 2017) One week after little brother, Stephen Scheel, picked up his first feature win of the season, it was big brother Shaun that found himself in victory lane. 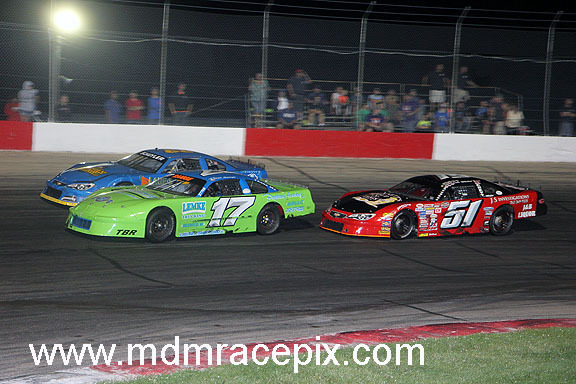 Taking over the point after the leaders tangled late in the IBEW 50 lap Late Model feature, the Lake Mills driver hung on in the closing laps to secure the win and claim his second main event win of the 2017 season. 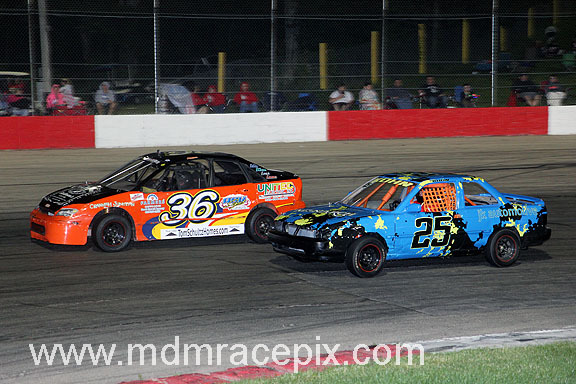 JEFFERSON, WI (Saturday, August 12, 2017) As the laps ticked away in the Newville Auto Salvage 50 lap Late Model feature on Saturday night, it became clear that the two brothers from Lake Mills were on a course to do battle. 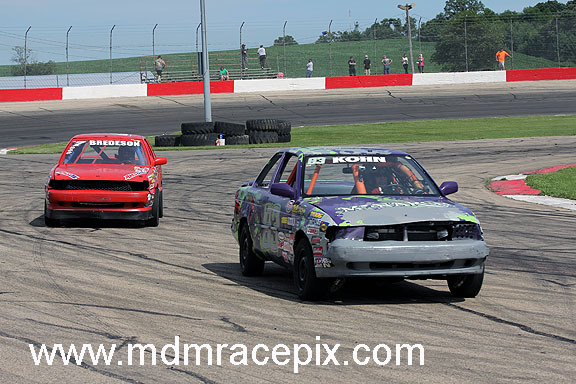 Little brother, Stephen Scheel, led every lap of the main event as Shaun Scheel closed in. 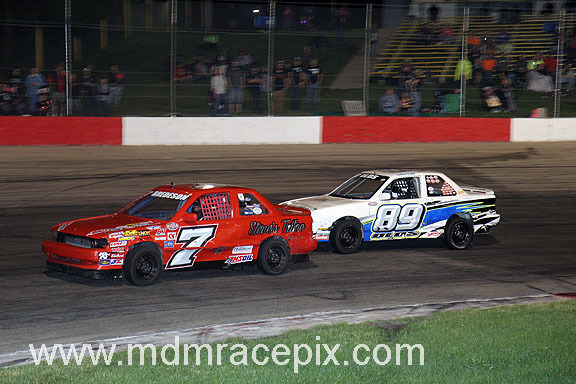 Stephen was in search of his first feature win in 2017 while Shaun sits second in the overall season standings, which meant neither of them were willing to give an inch. 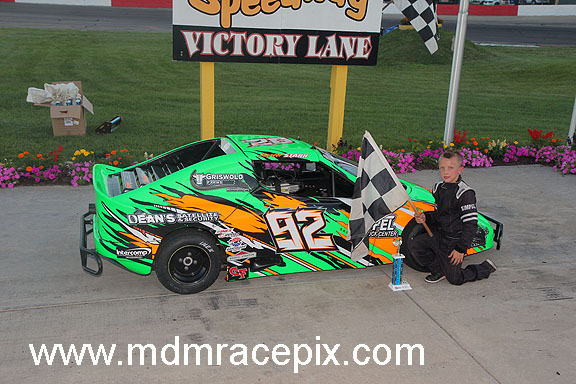 In the end, Stephen held off his older brother after a wild finish to capture the win and park it in victory lane. 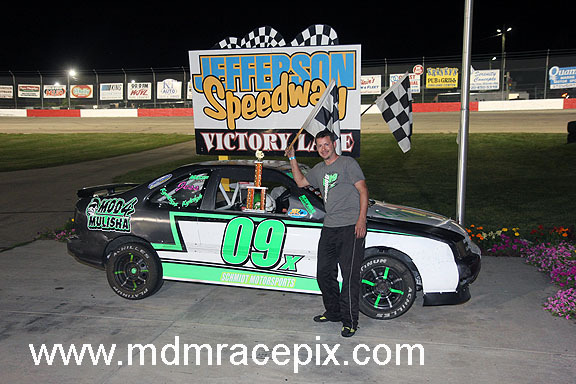 JEFFERSON, WI (Saturday, July 29, 2017) The 2017 version of the Badgerland Challenge made its way to Wisconsin’s Action Track on Saturday night. 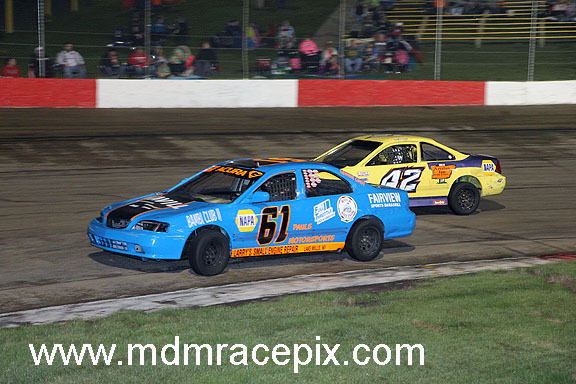 For the first time in its history, Jefferson Speedway was not the host for the championship round. 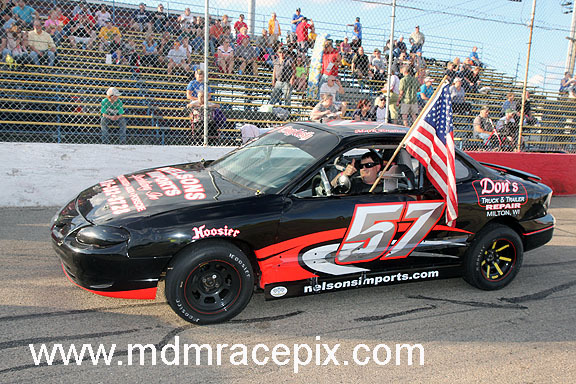 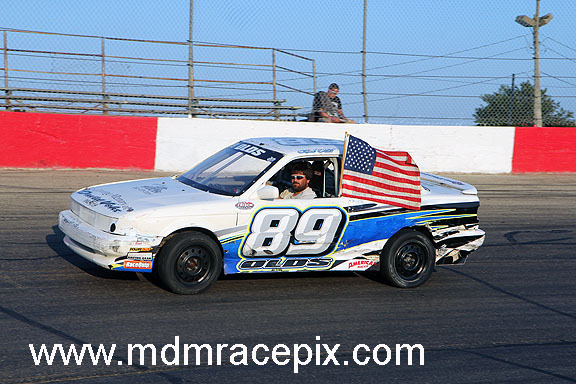 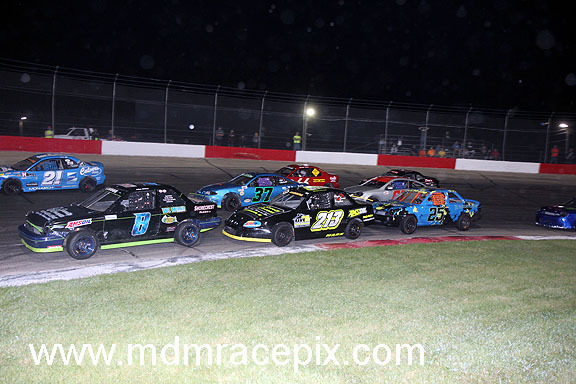 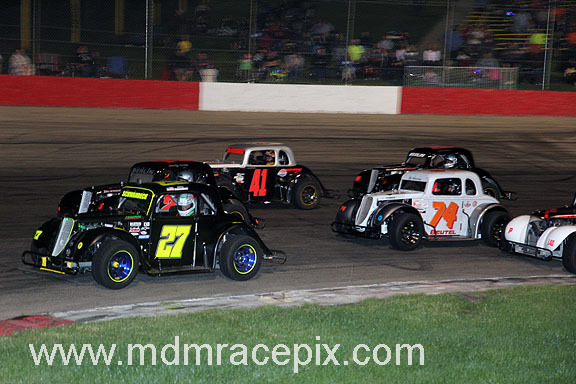 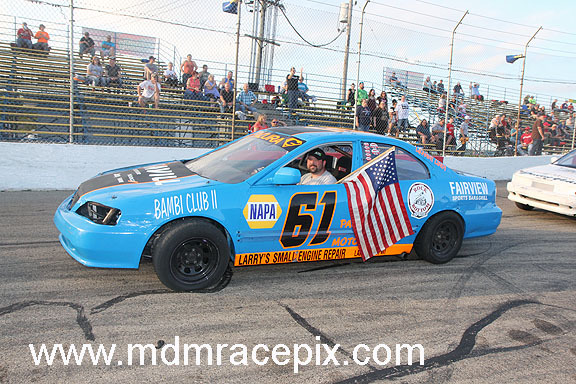 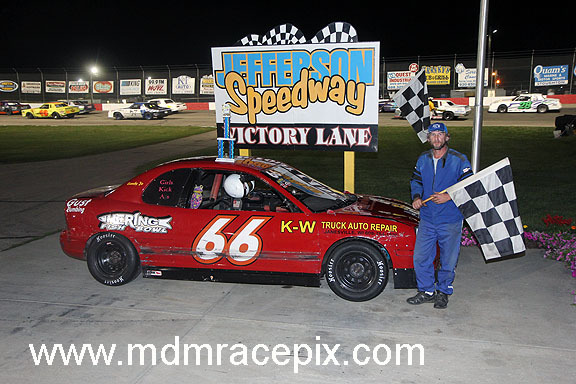 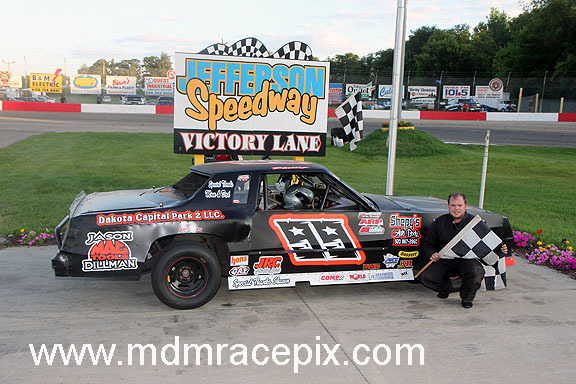 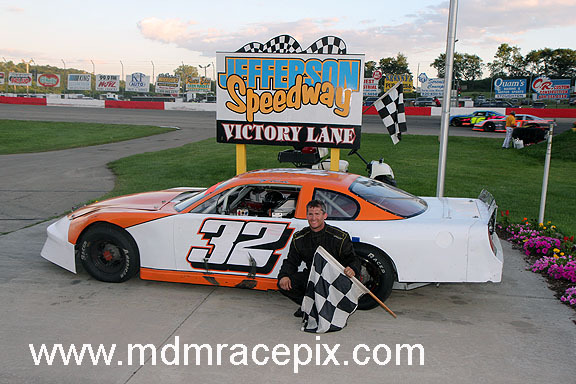 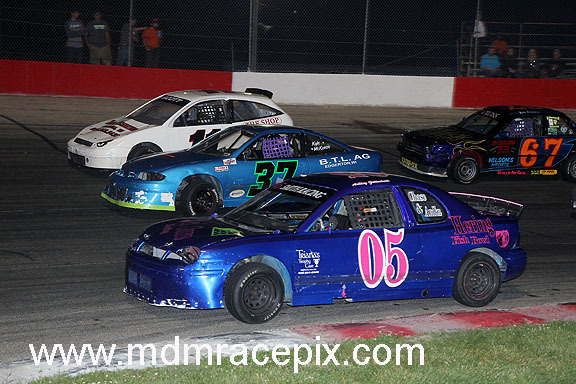 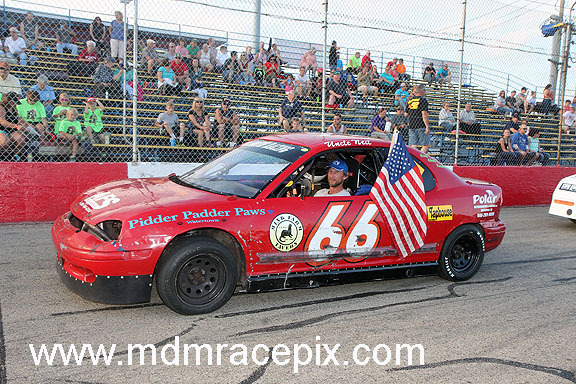 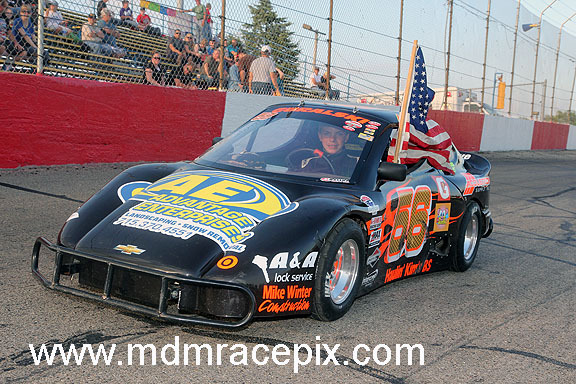 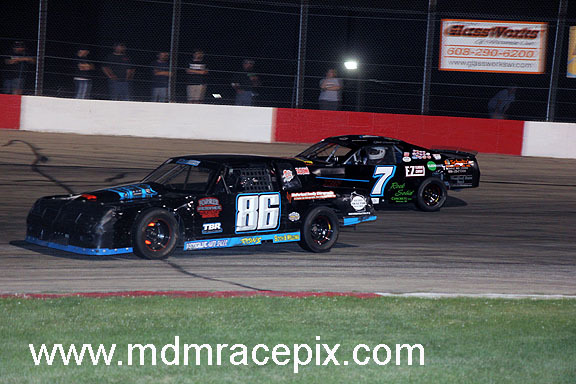 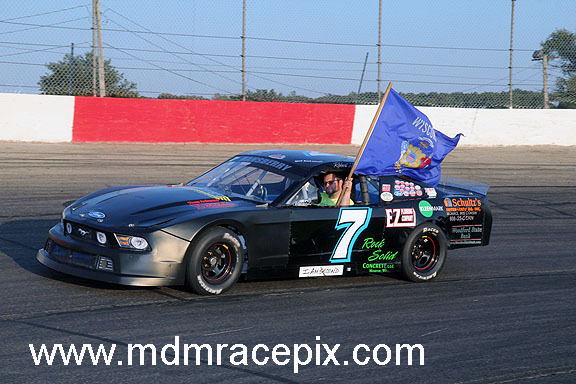 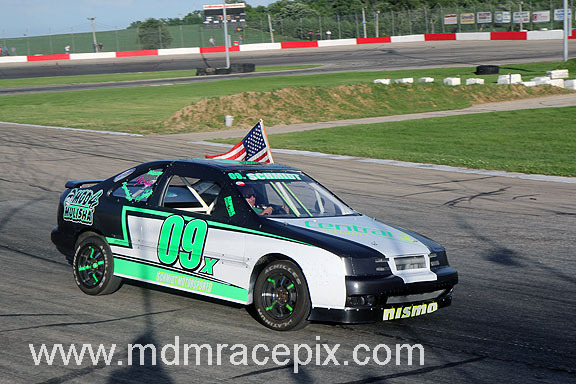 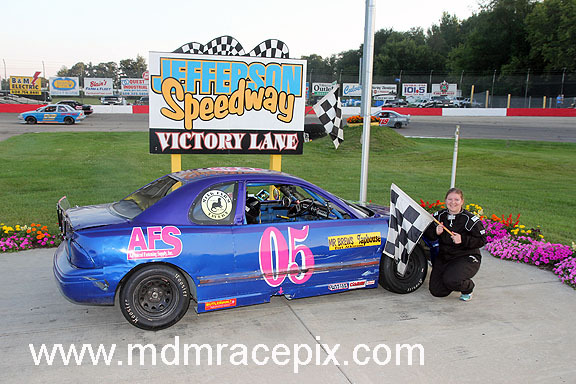 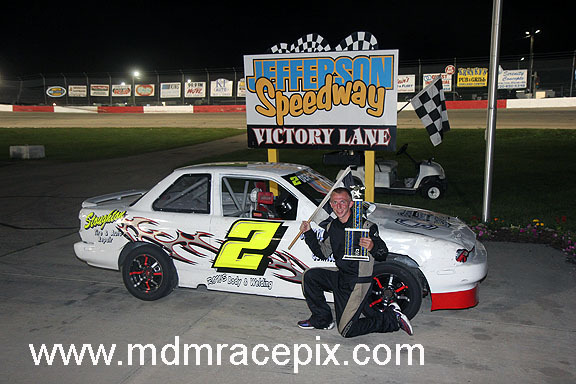 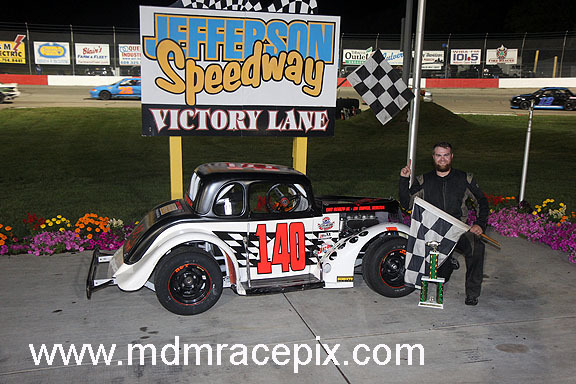 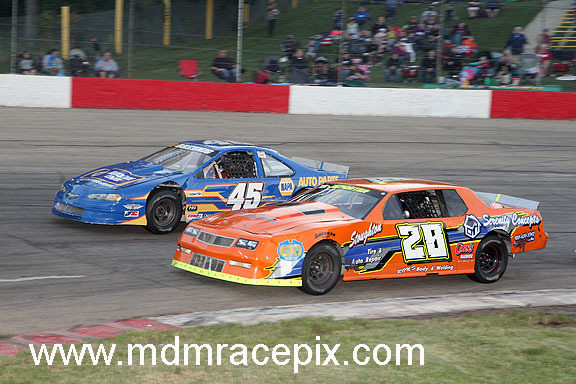 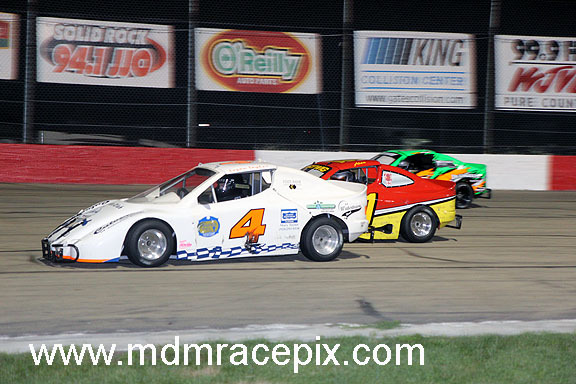 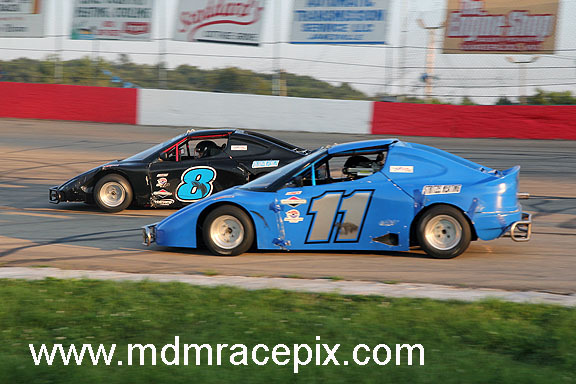 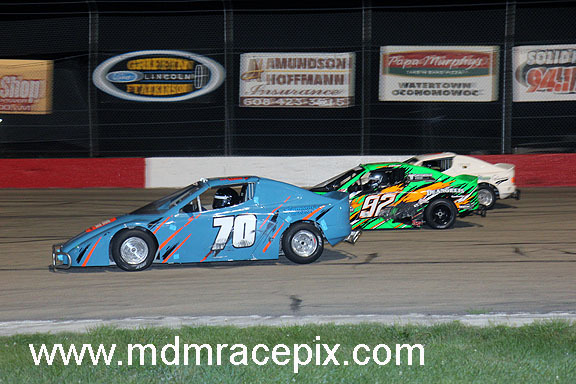 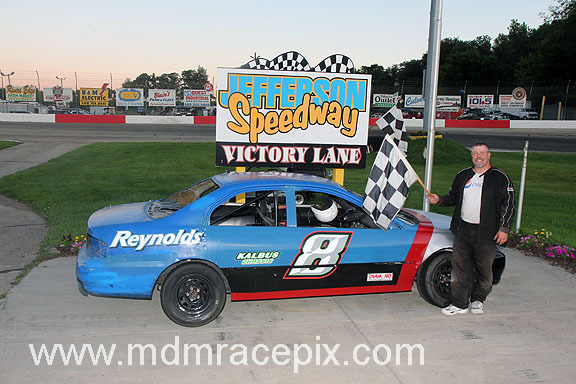 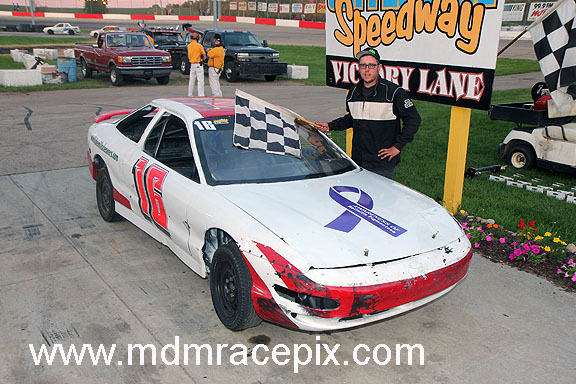 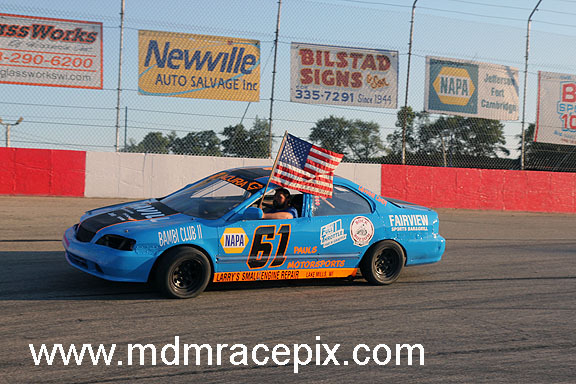 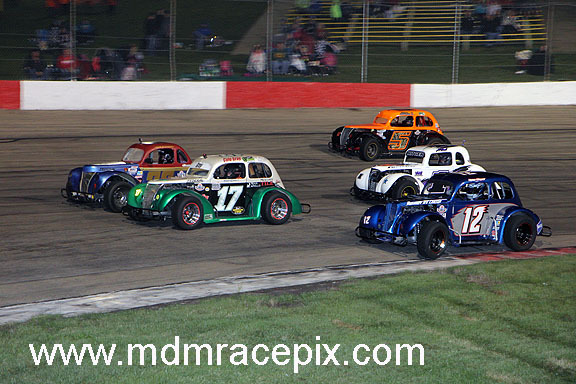 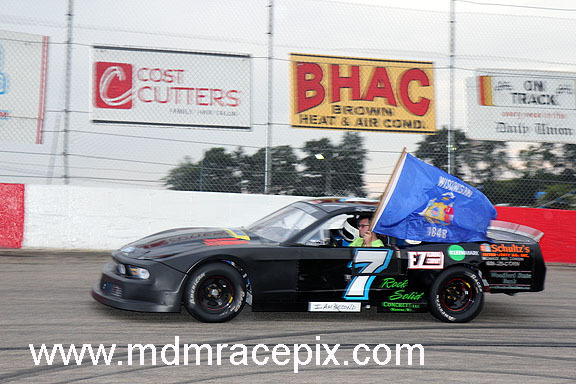 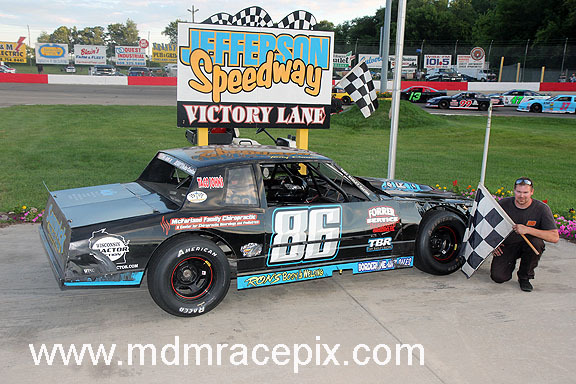 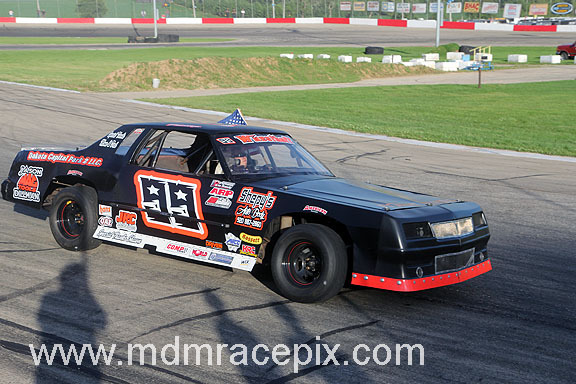 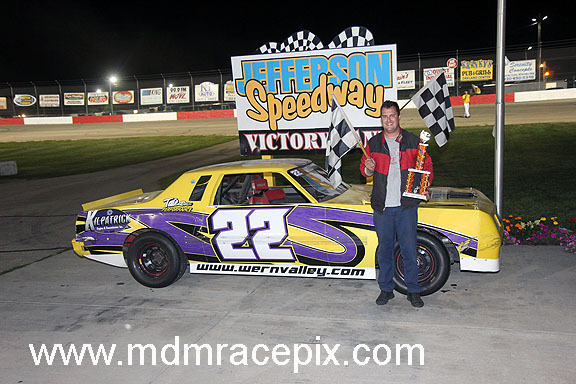 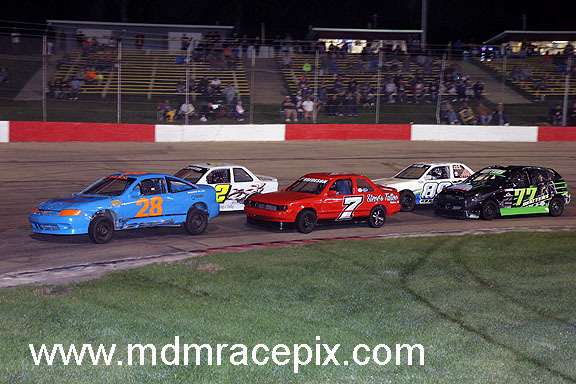 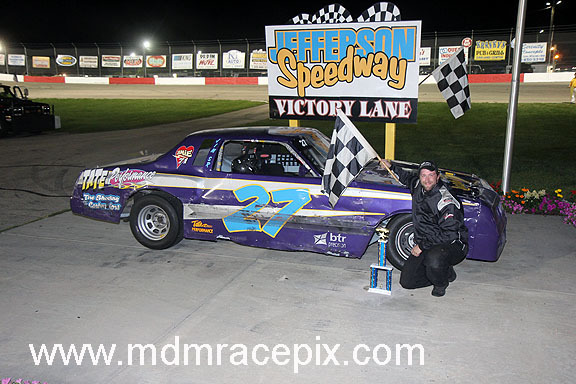 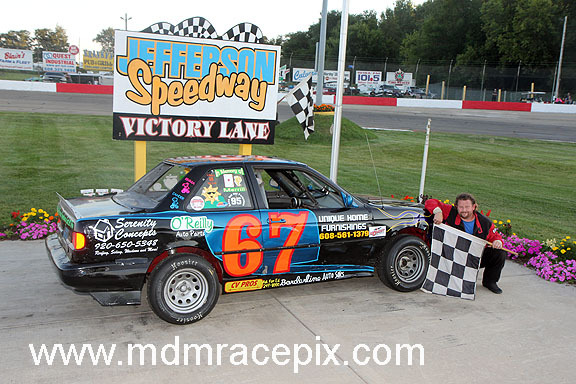 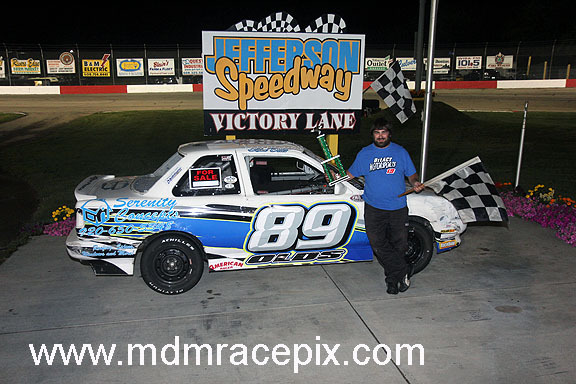 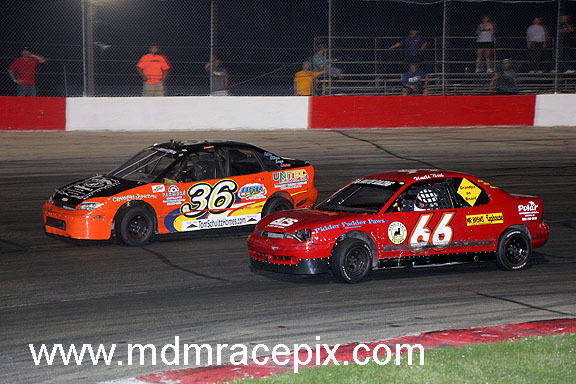 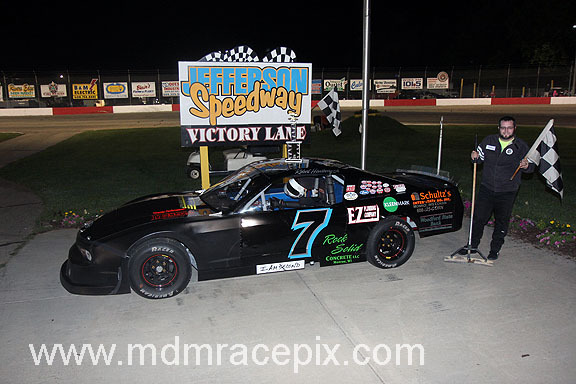 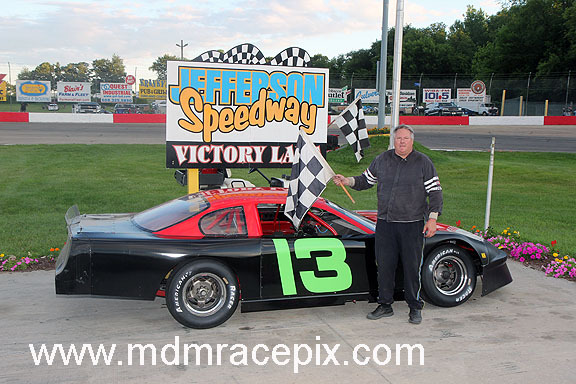 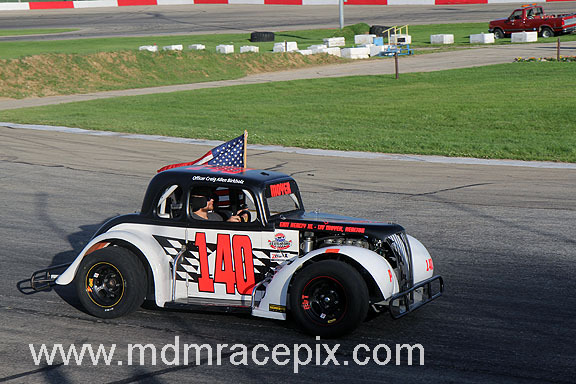 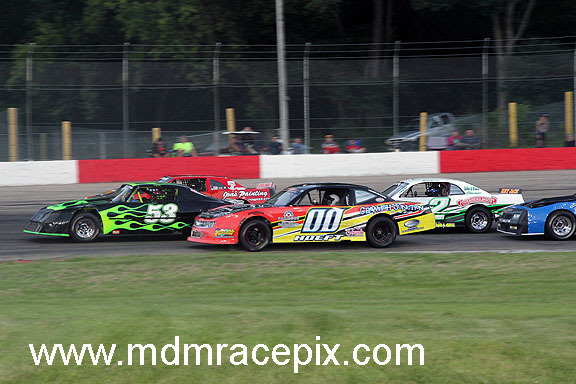 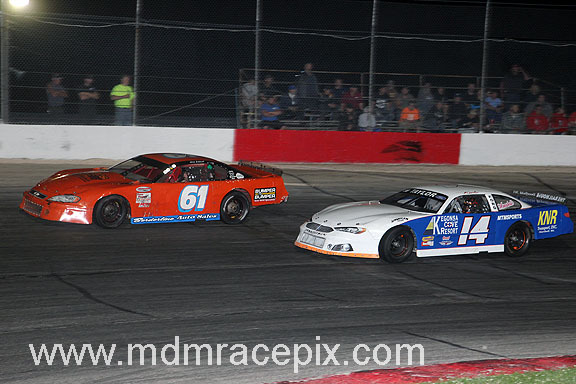 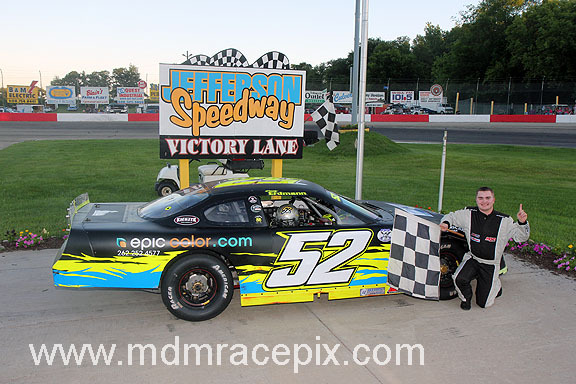 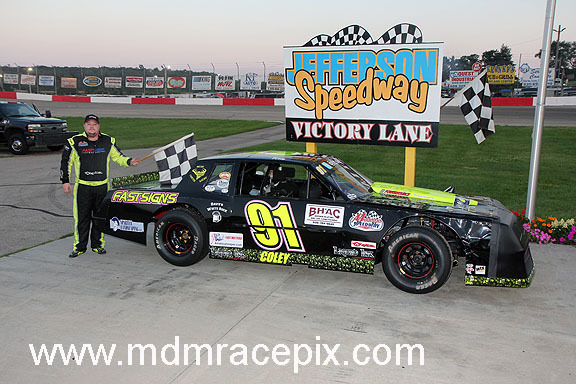 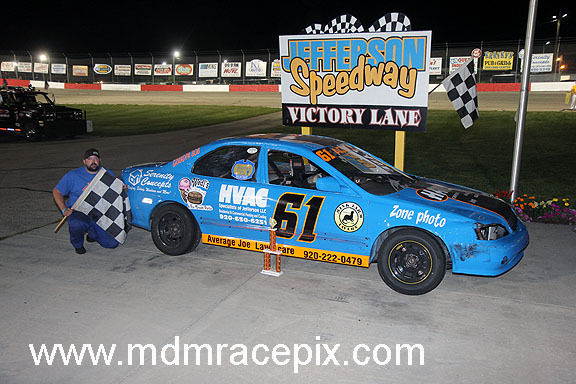 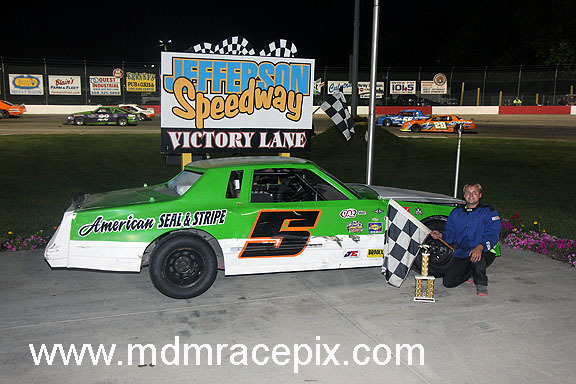 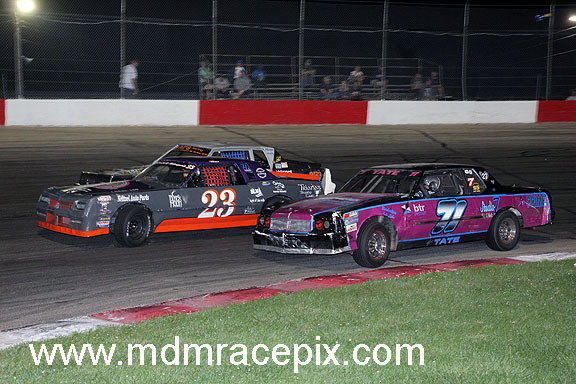 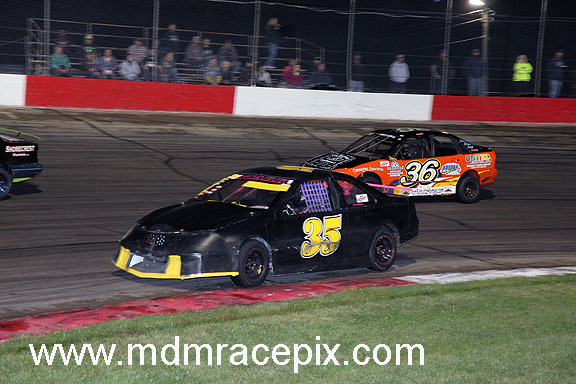 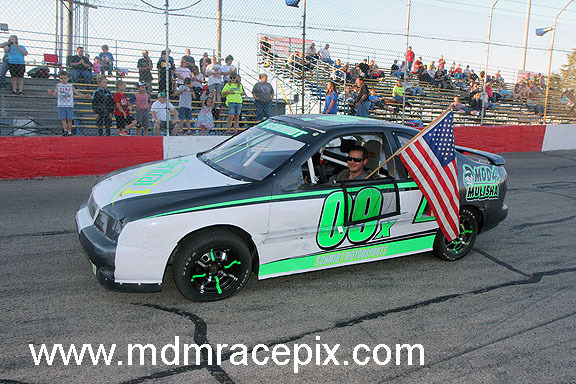 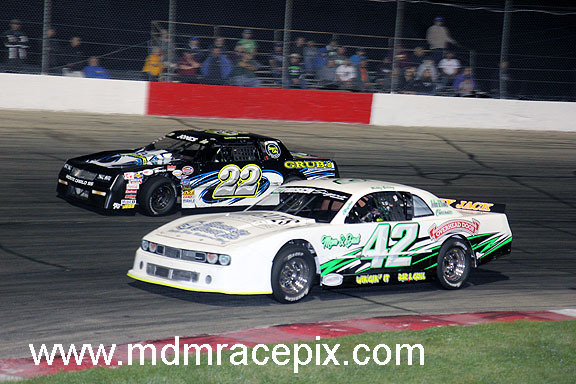 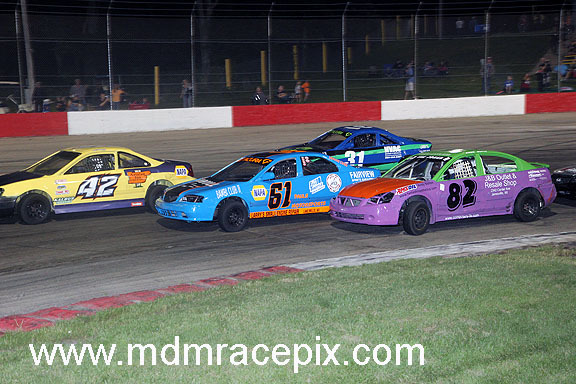 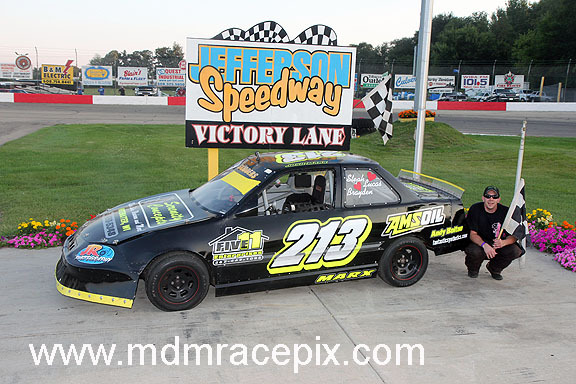 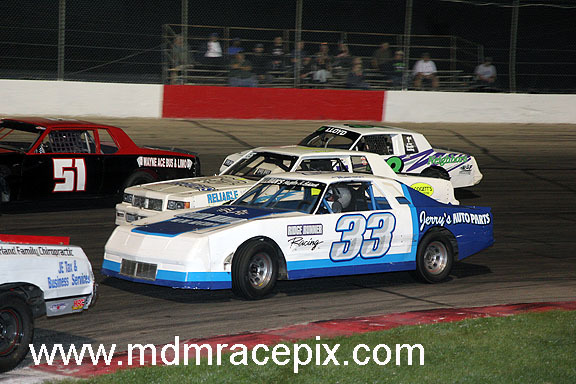 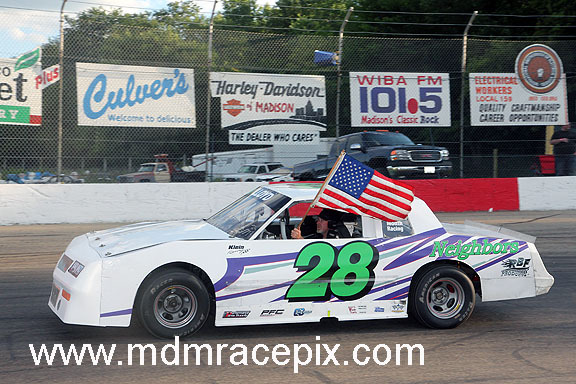 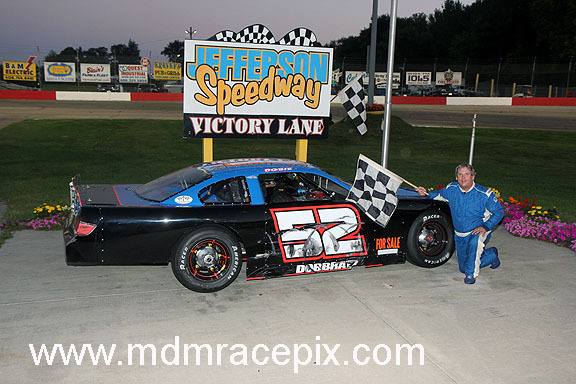 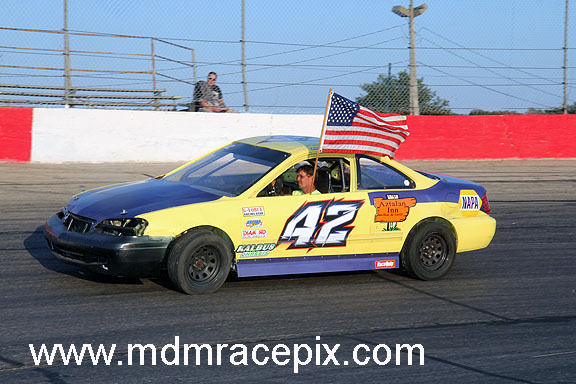 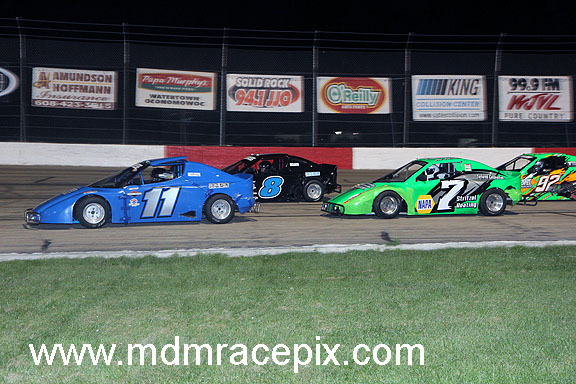 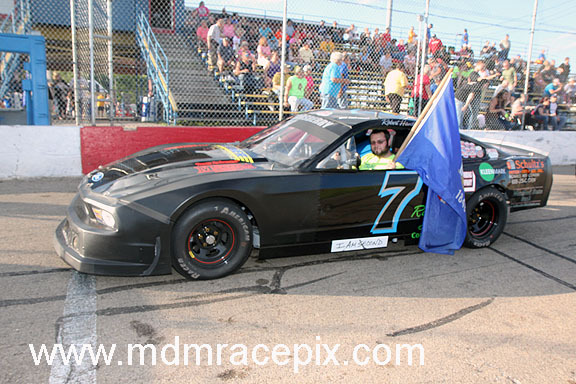 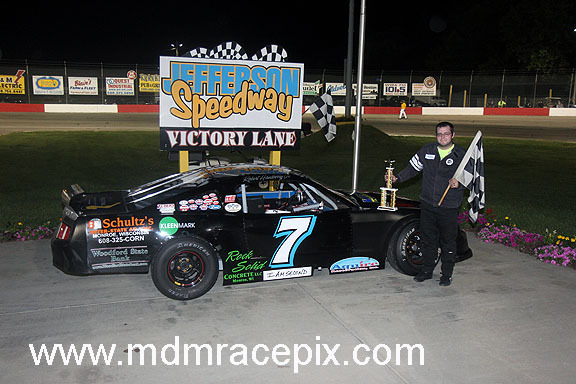 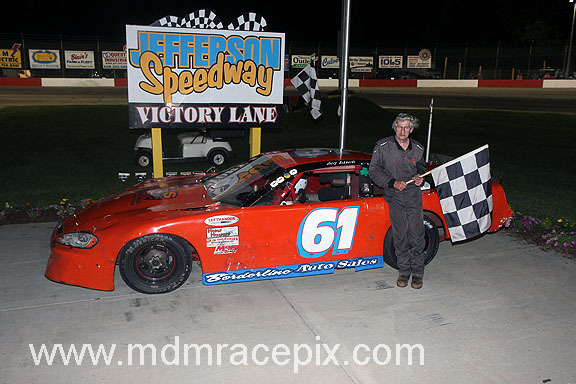 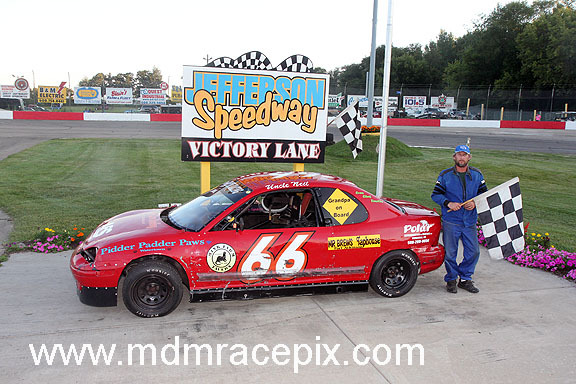 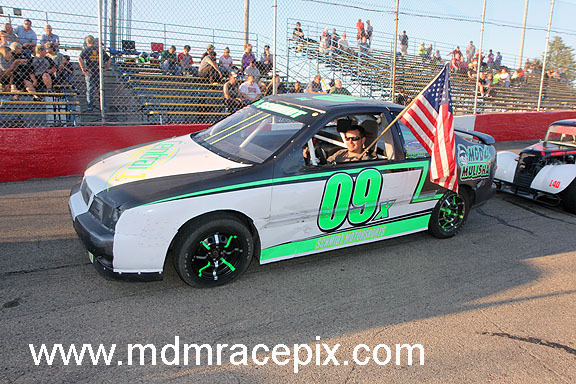 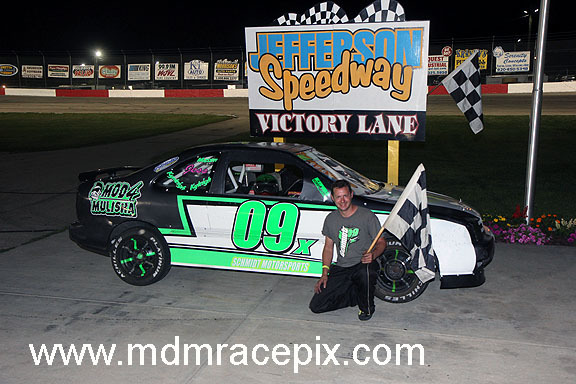 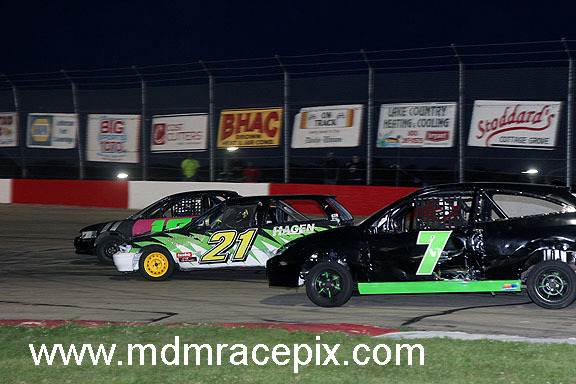 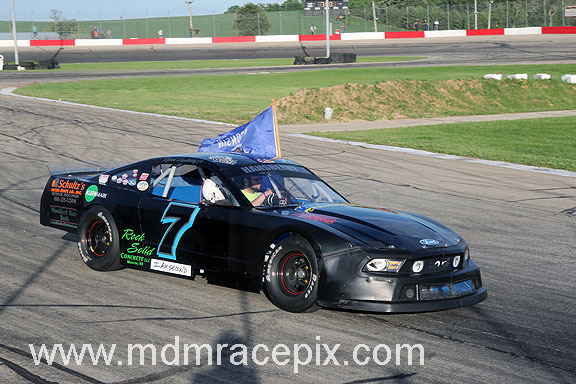 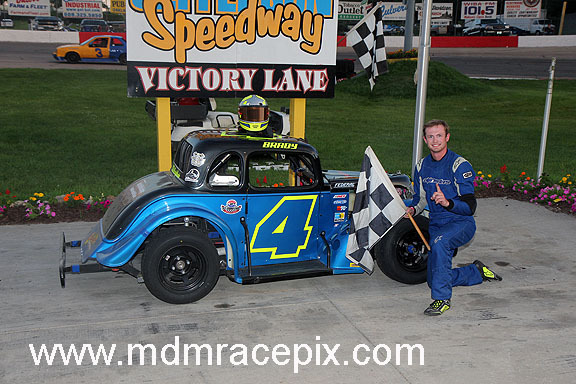 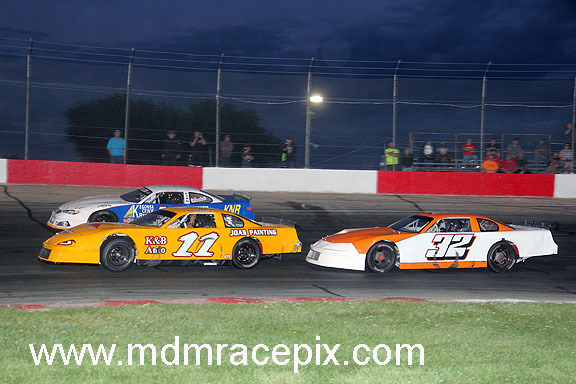 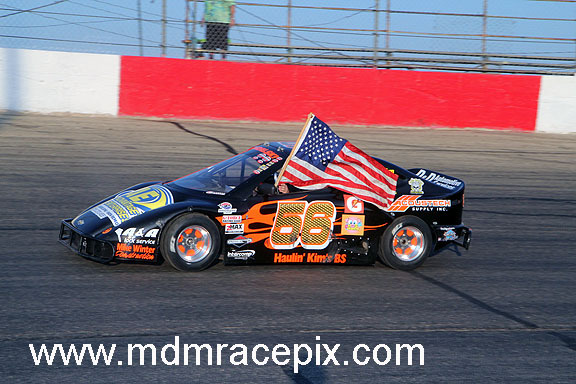 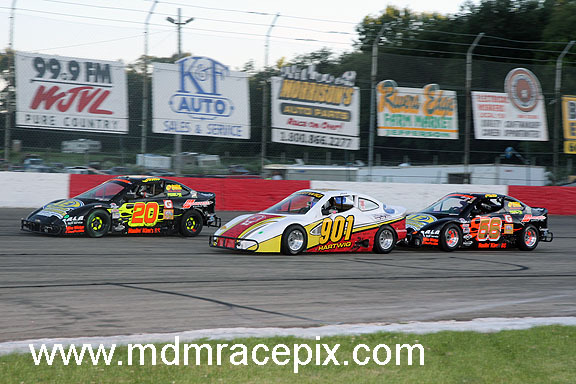 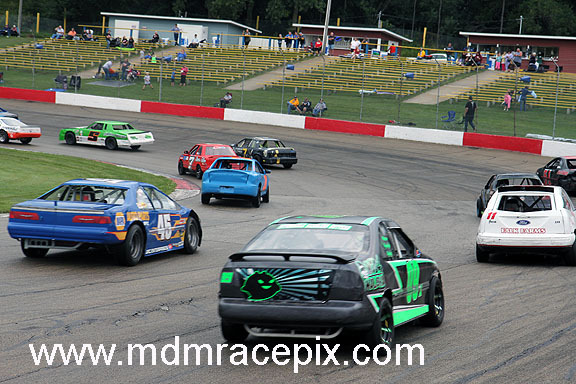 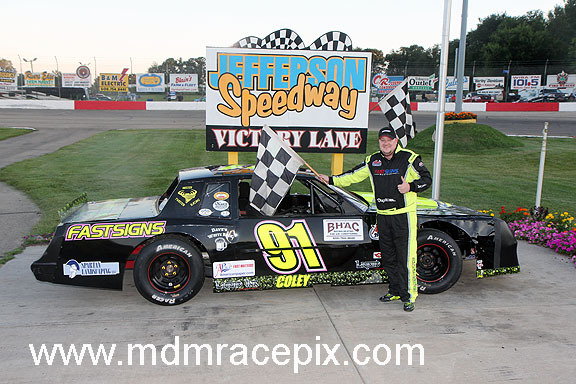 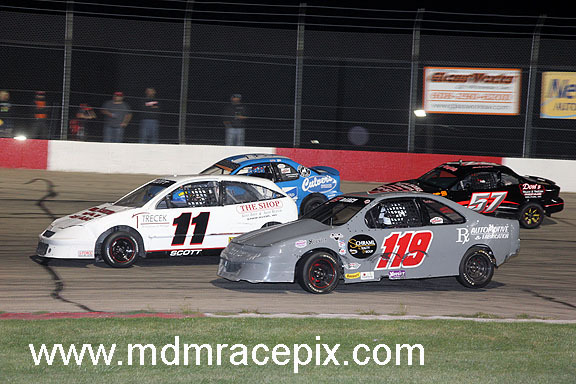 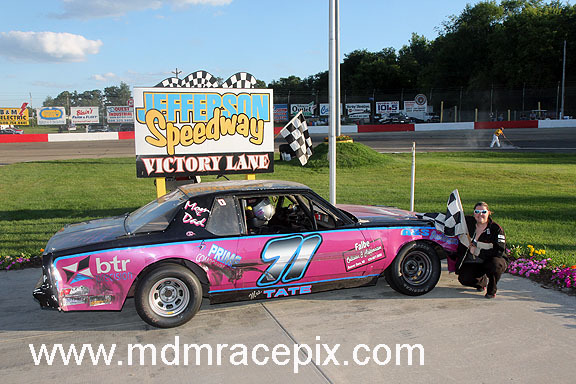 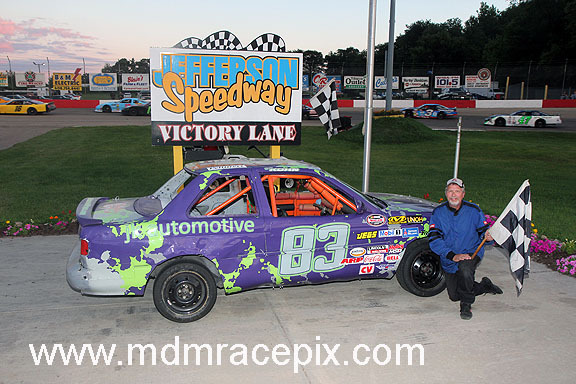 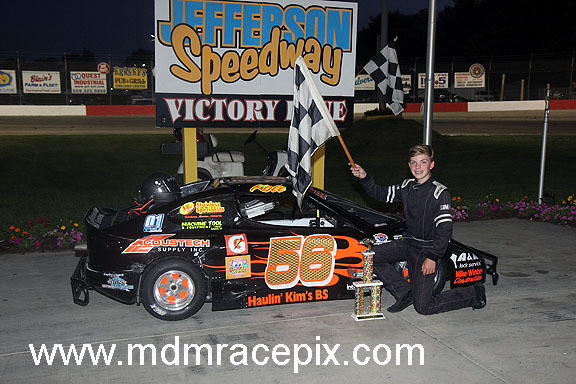 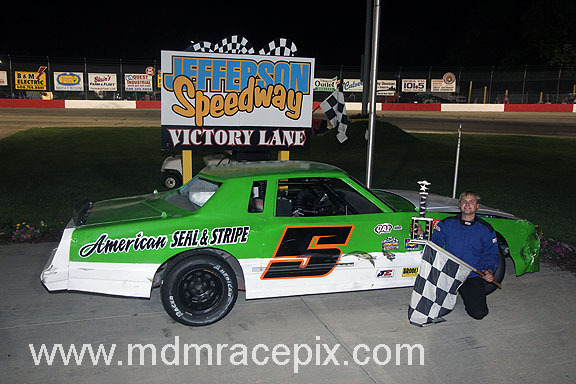 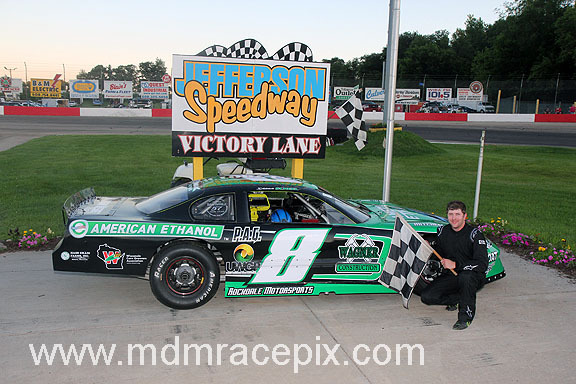 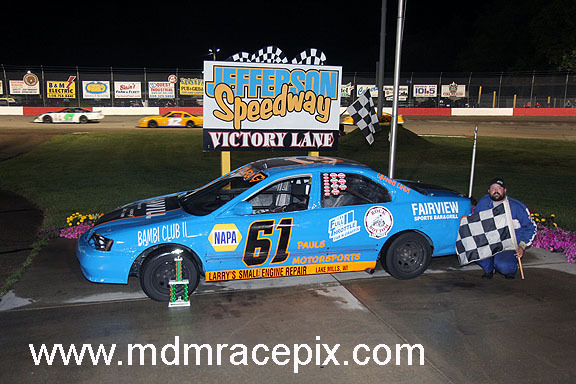 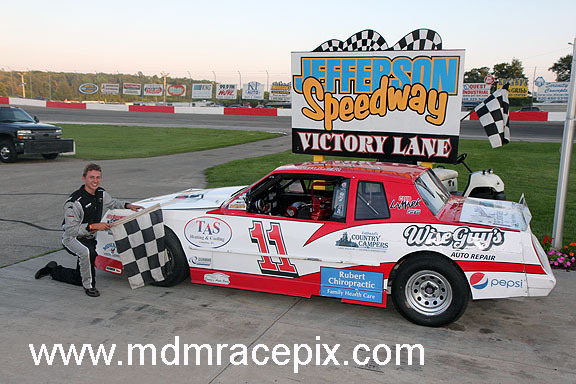 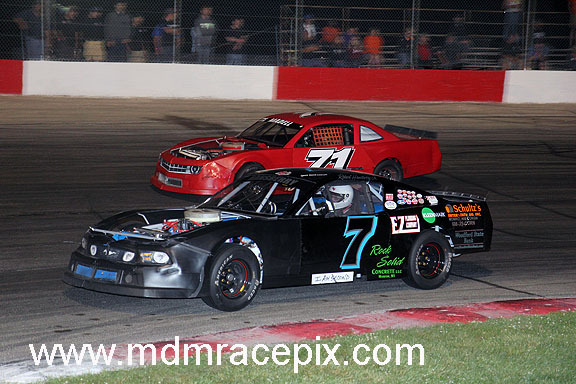 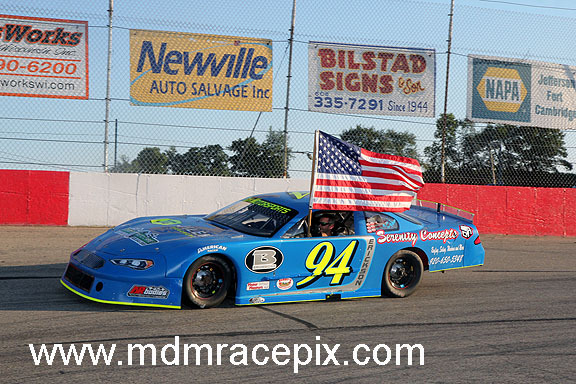 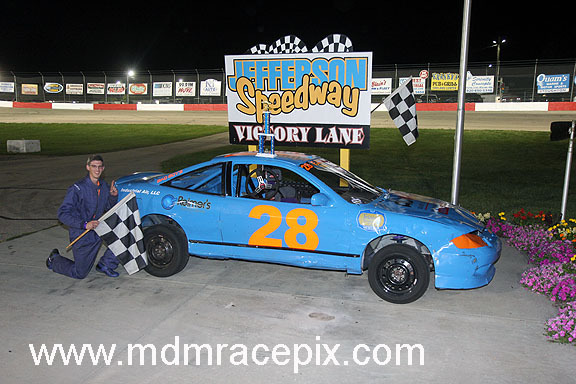 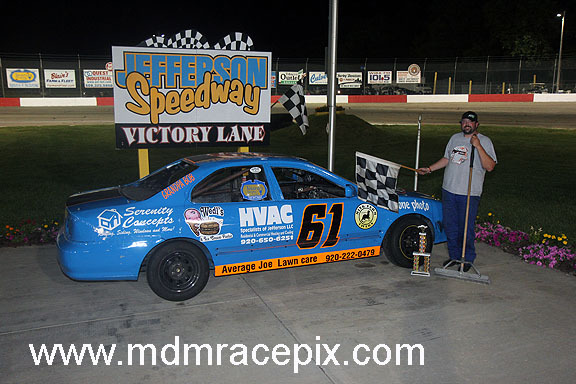 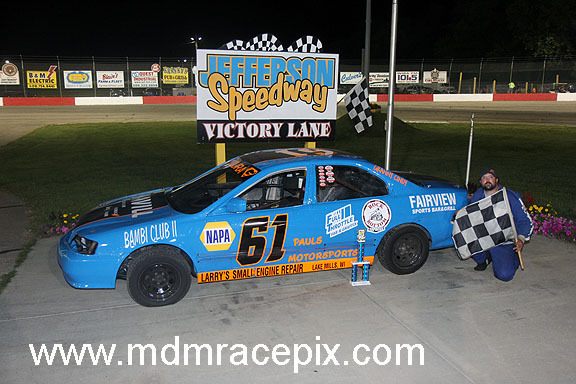 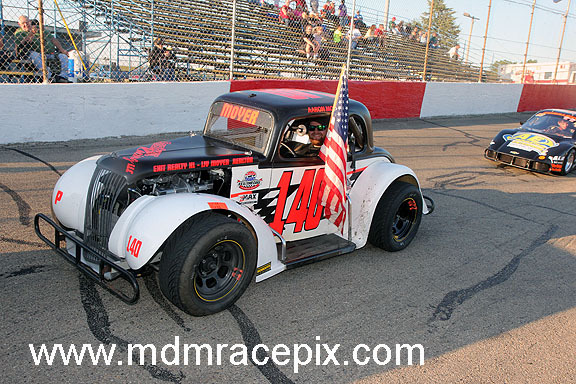 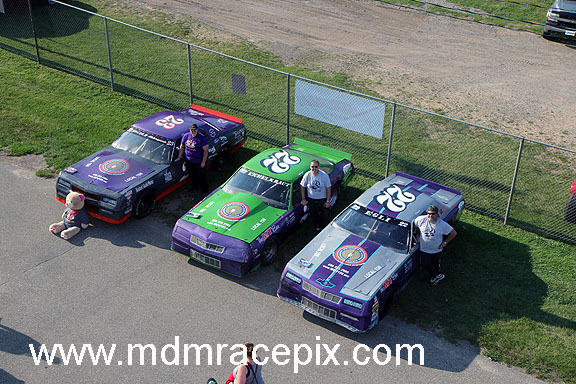 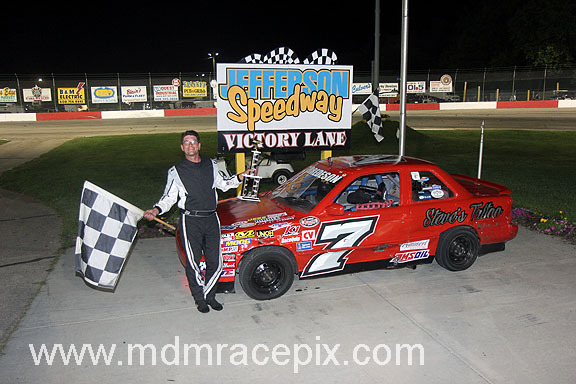 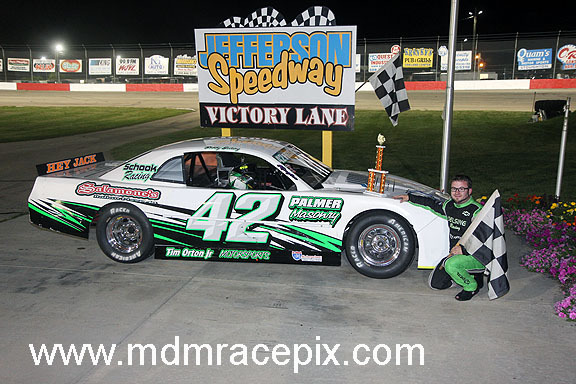 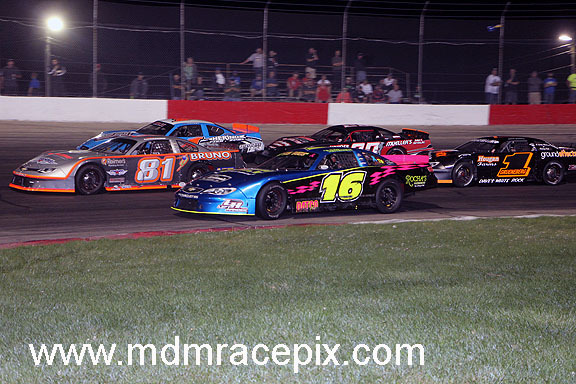 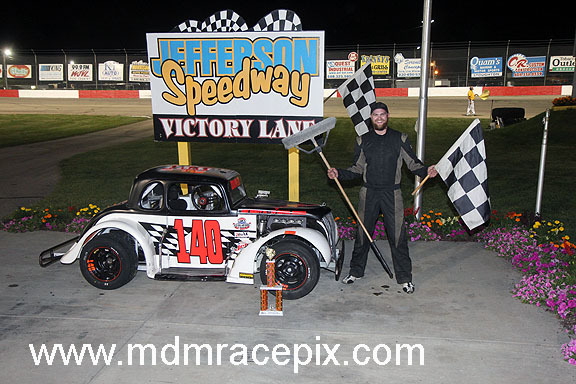 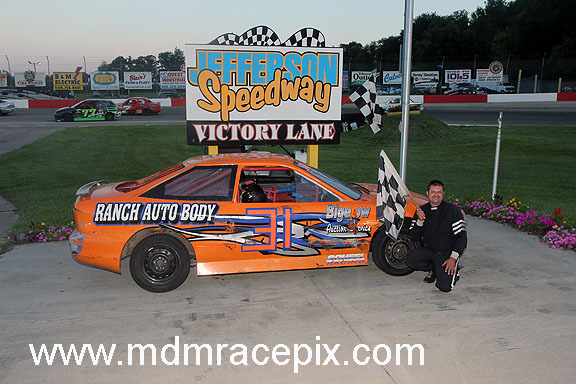 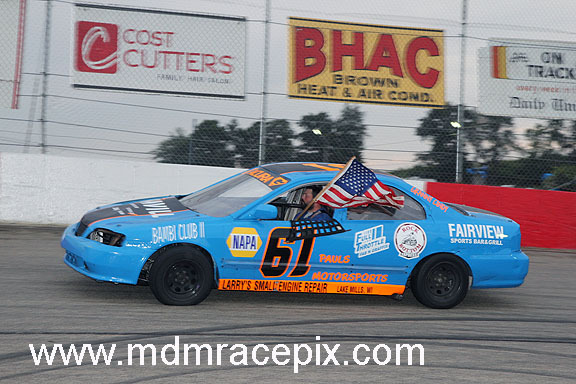 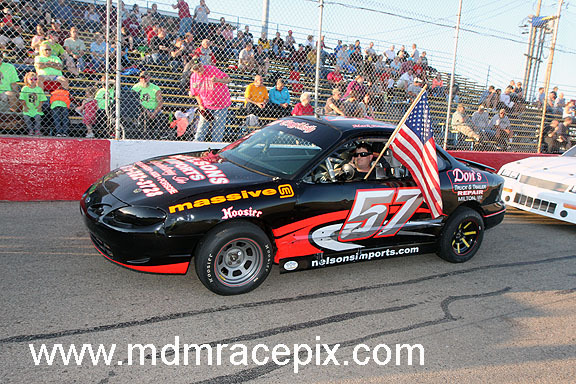 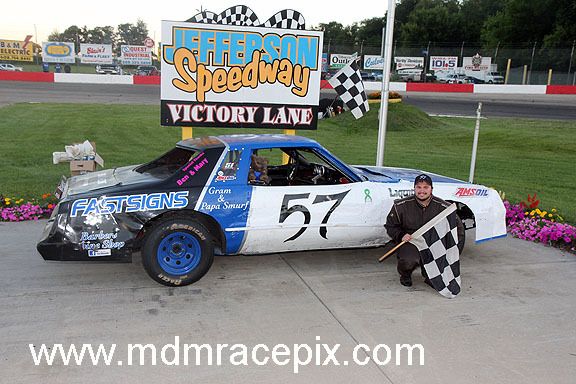 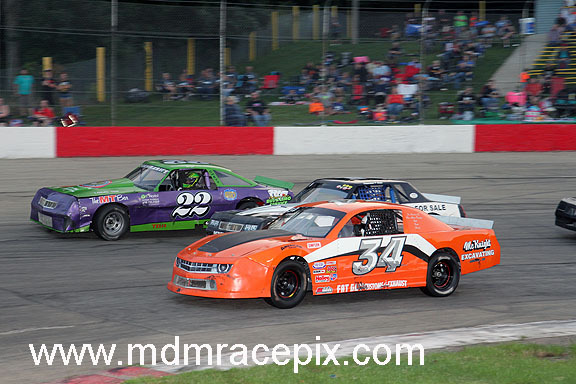 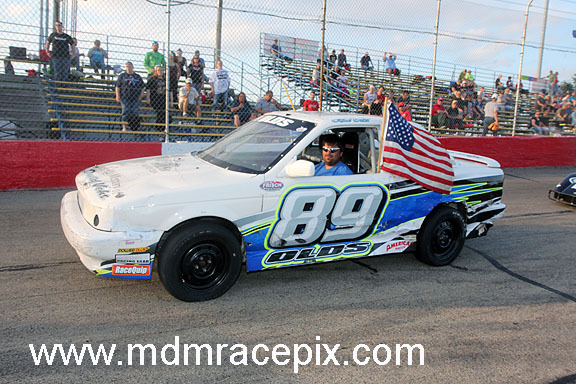 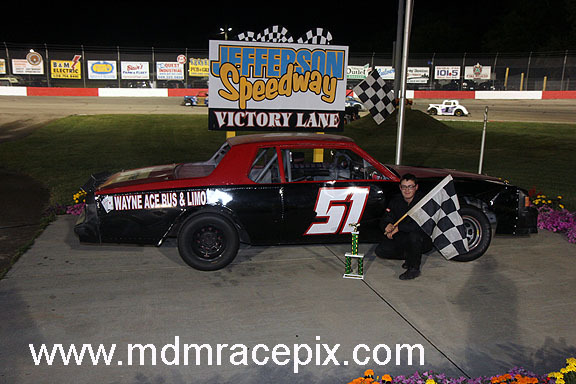 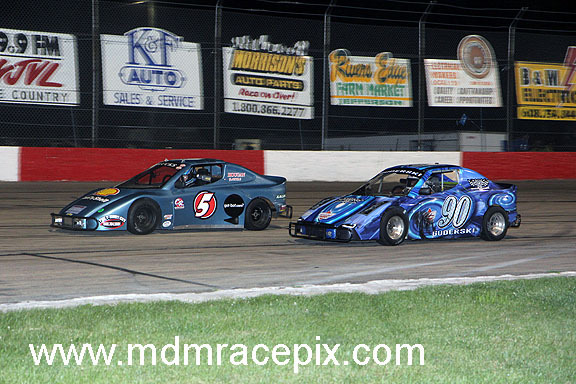 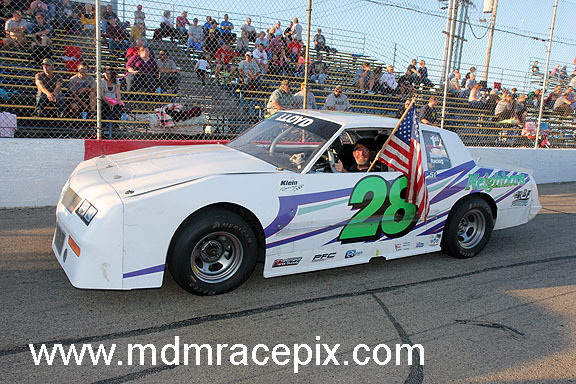 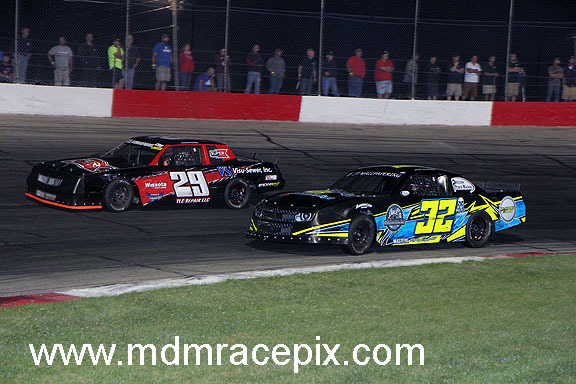 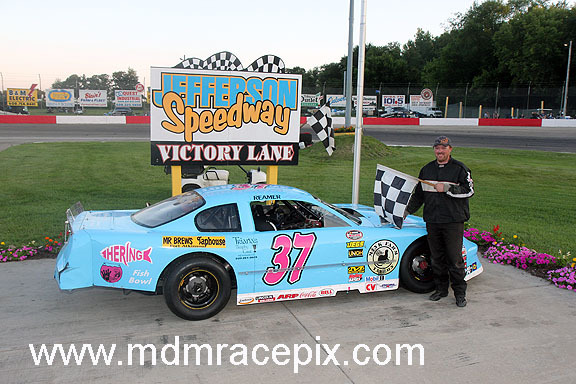 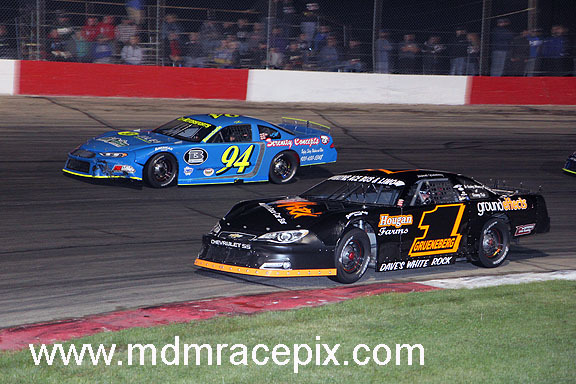 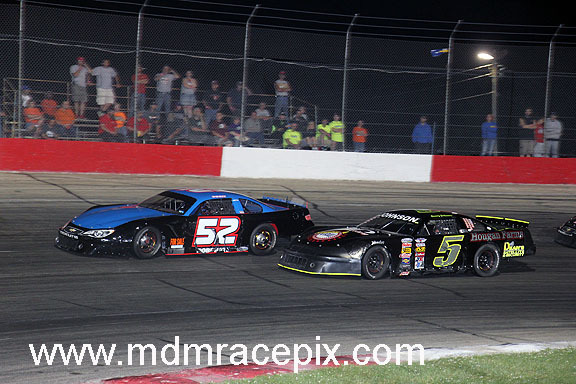 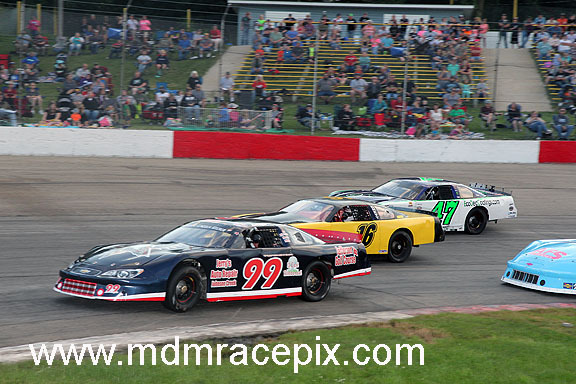 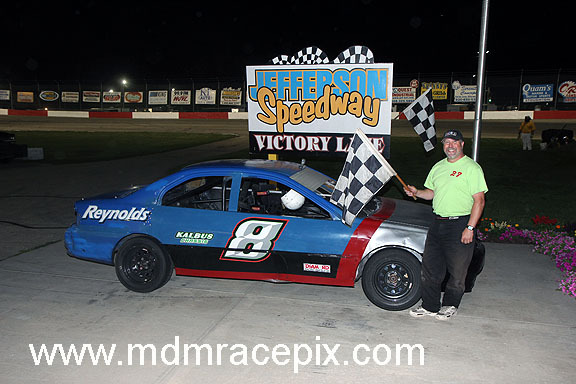 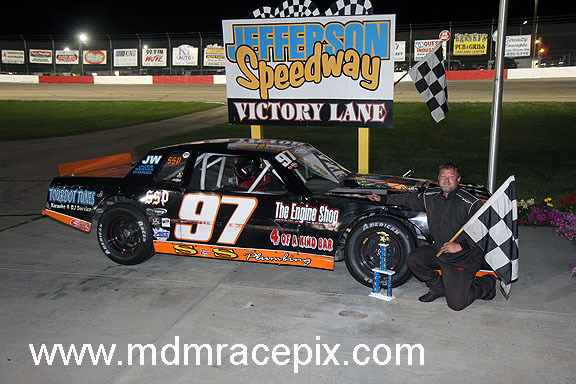 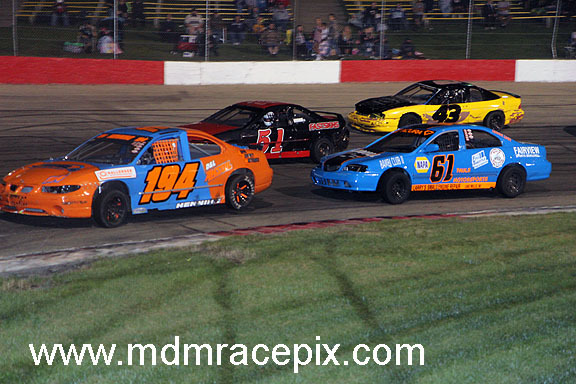 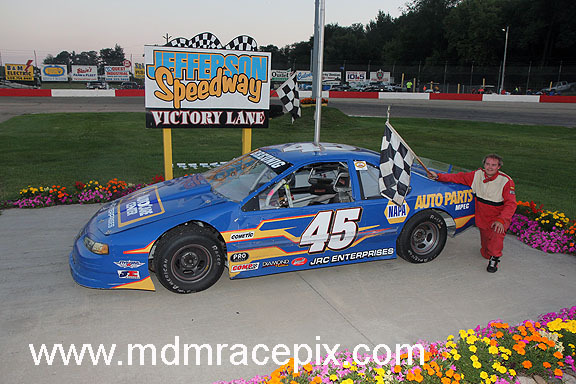 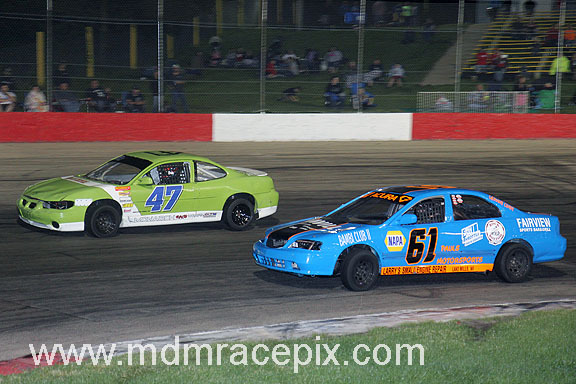 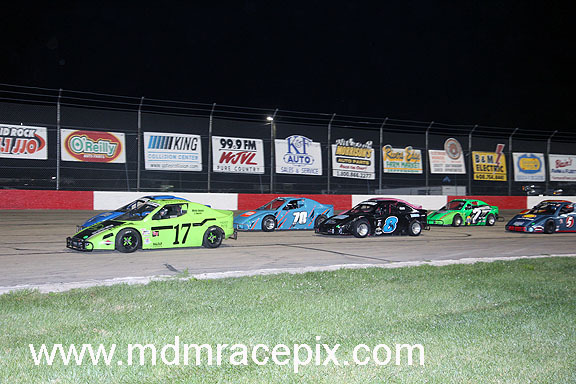 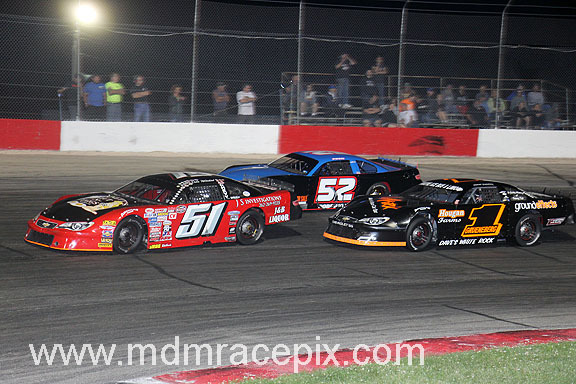 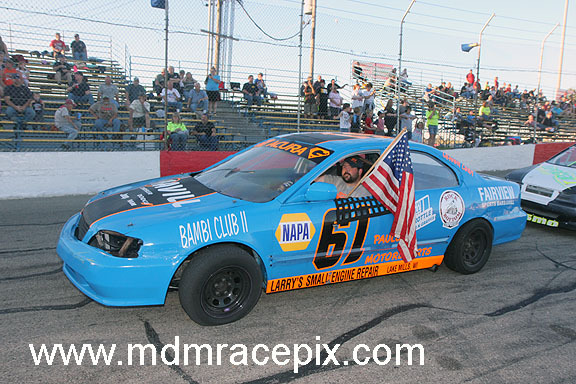 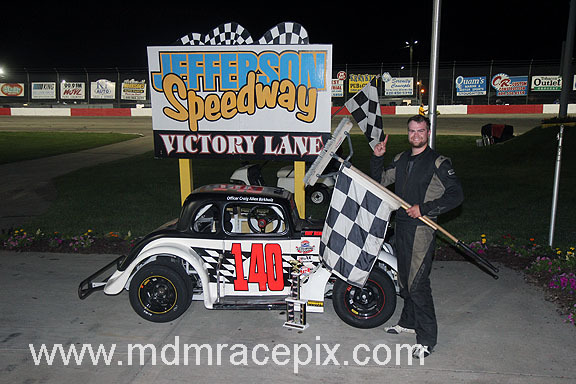 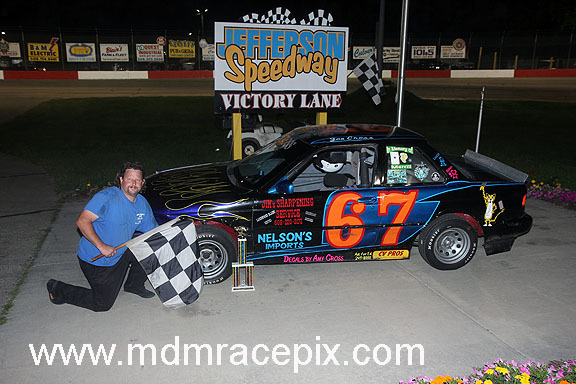 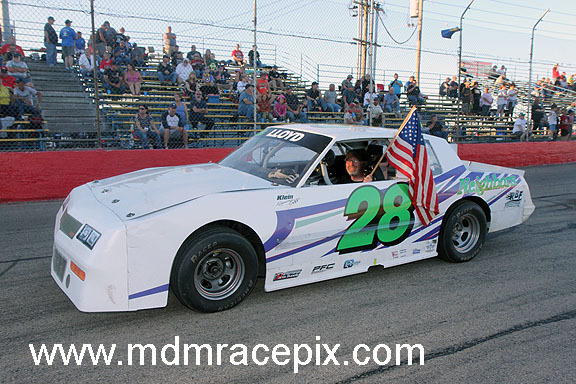 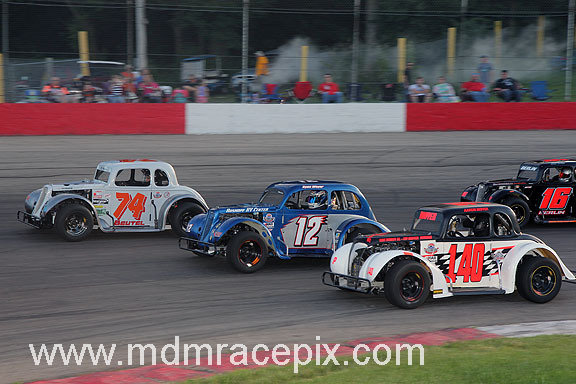 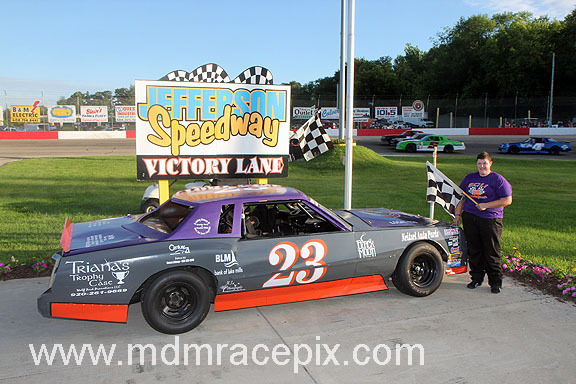 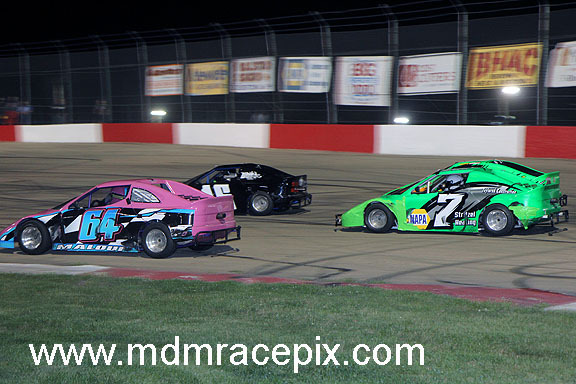 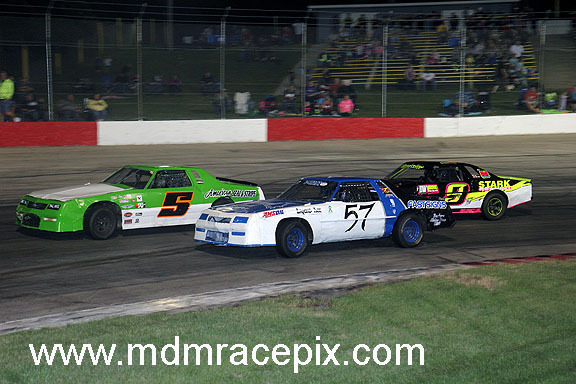 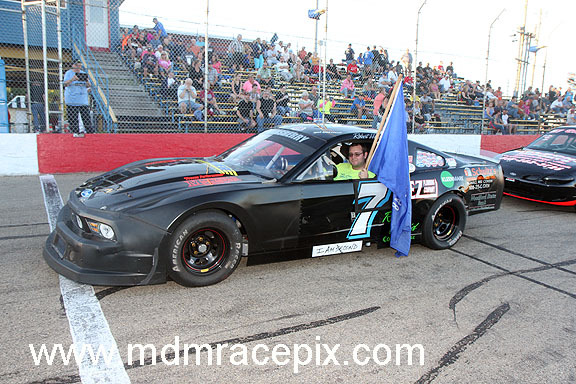 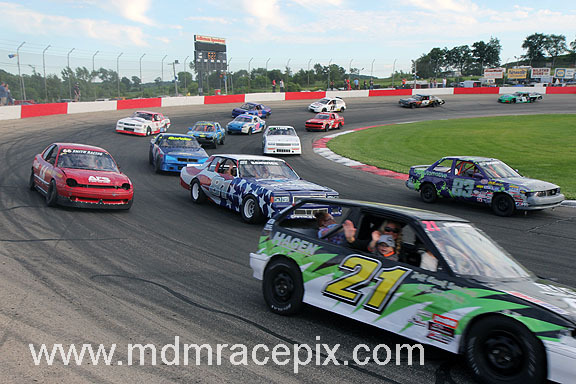 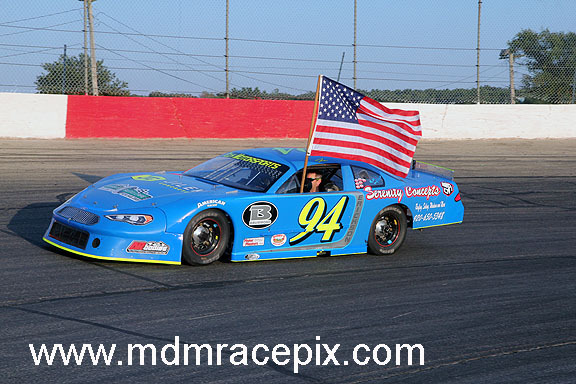 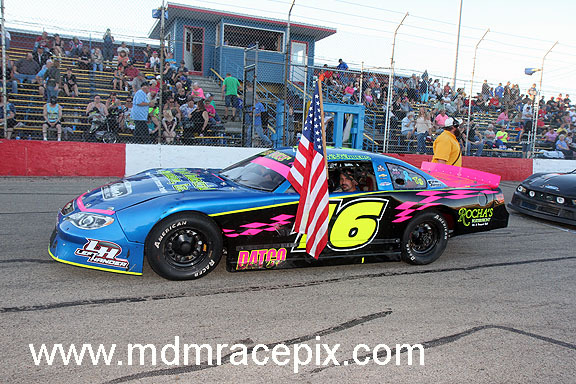 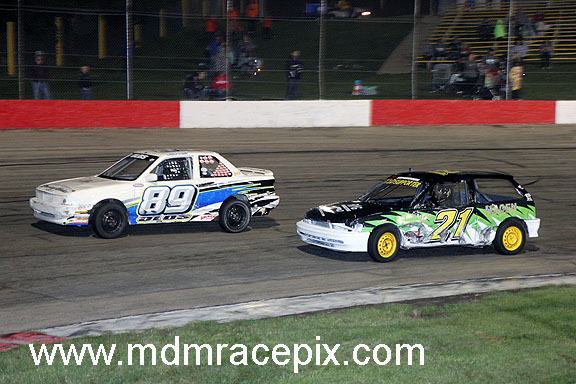 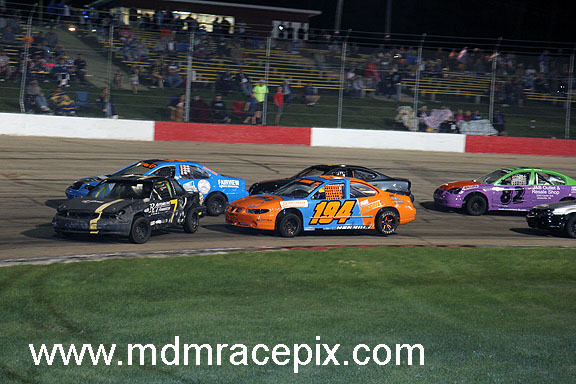 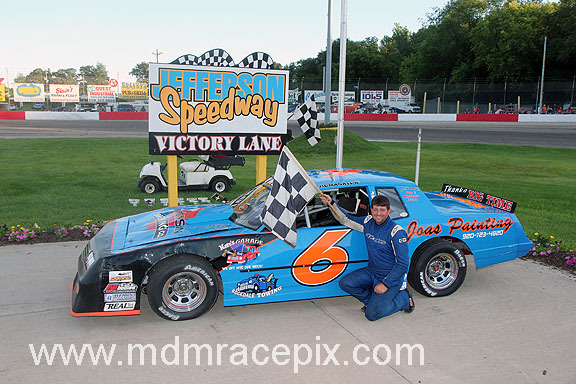 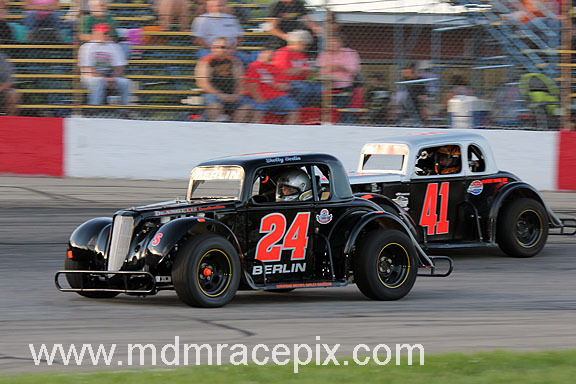 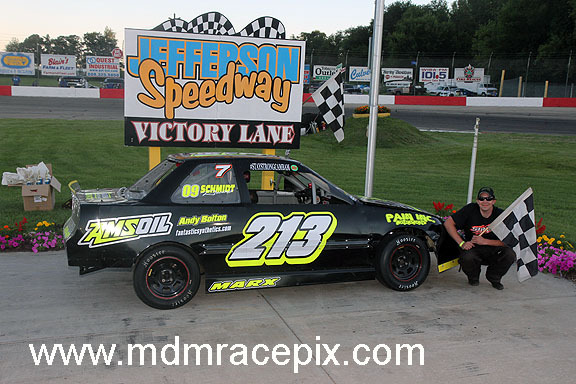 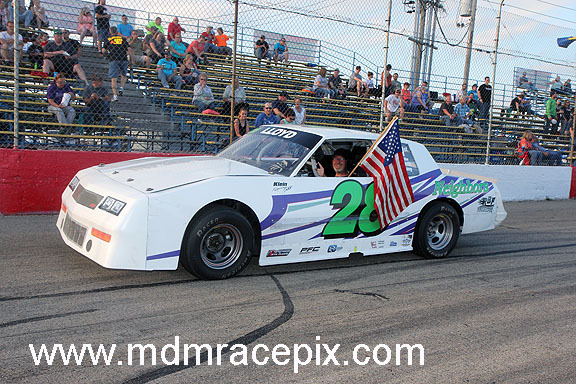 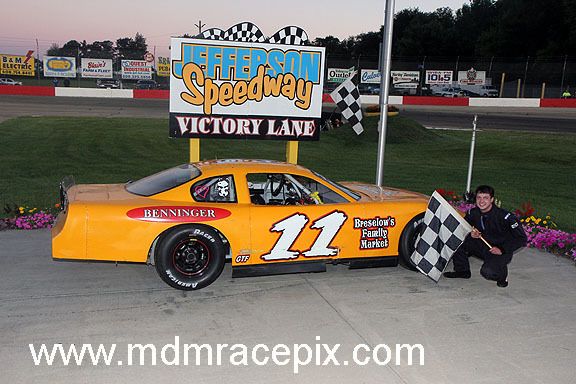 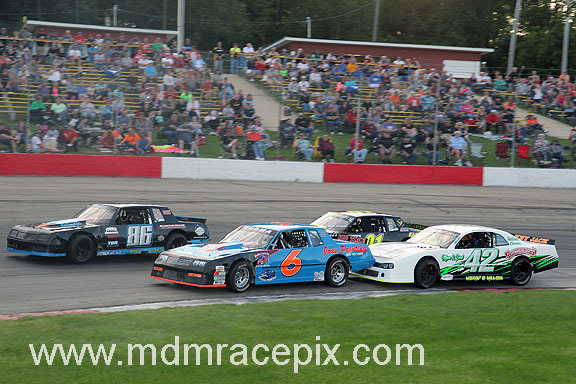 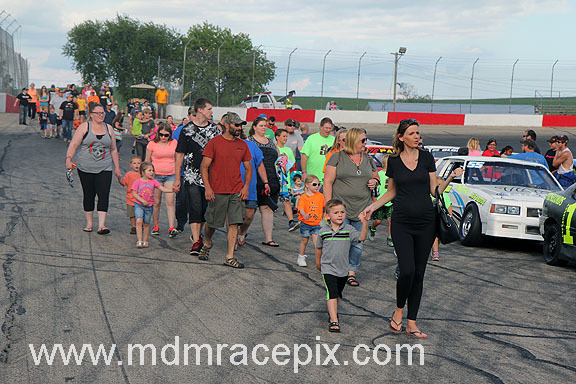 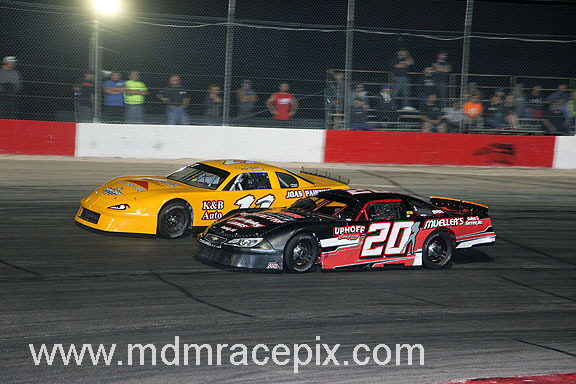 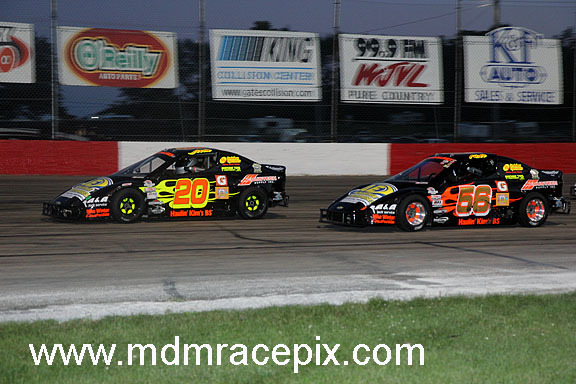 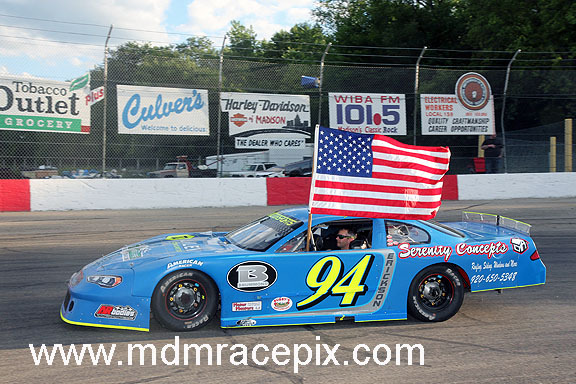 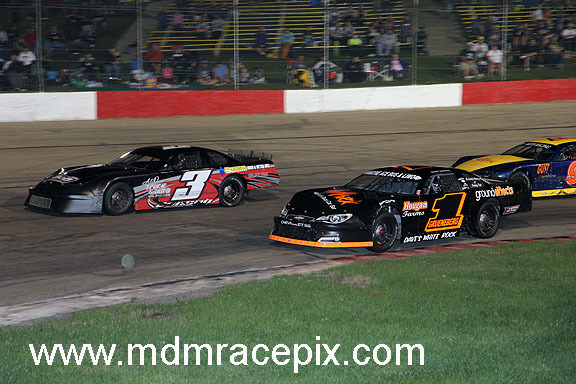 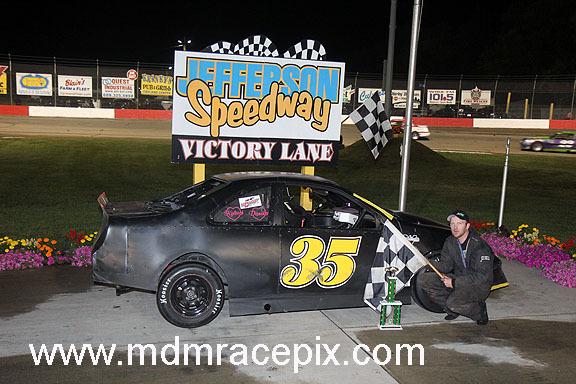 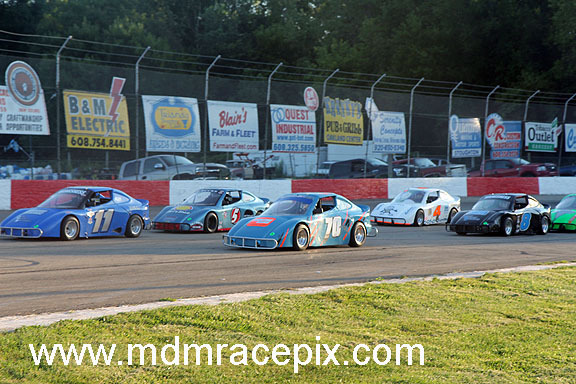 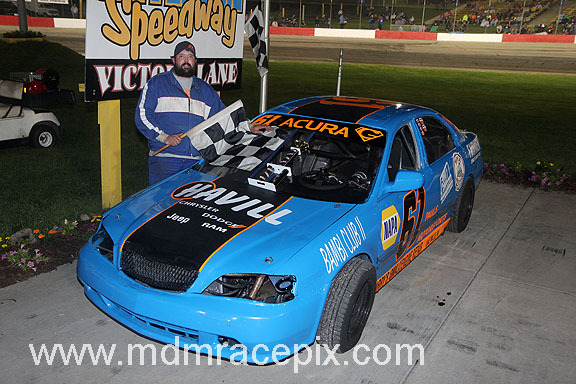 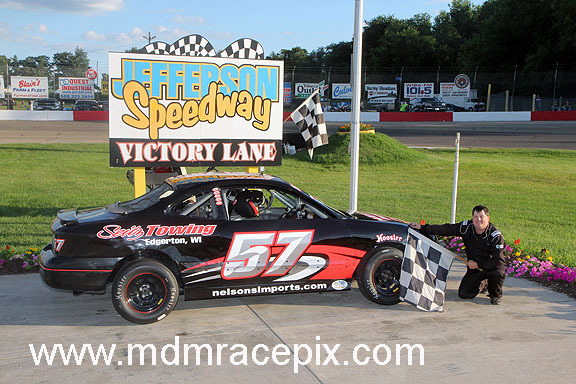 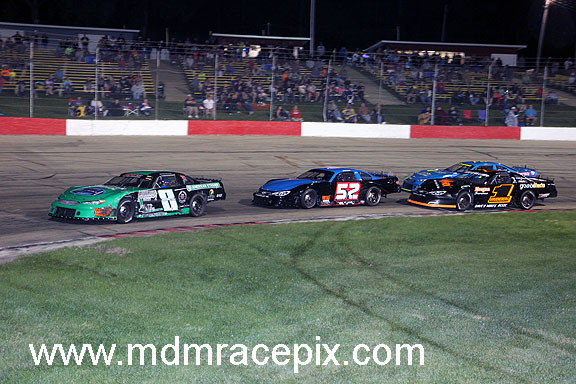 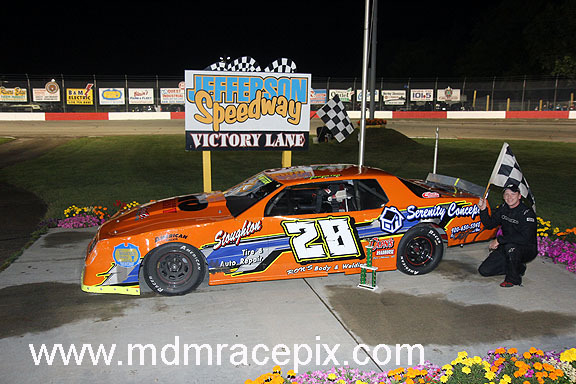 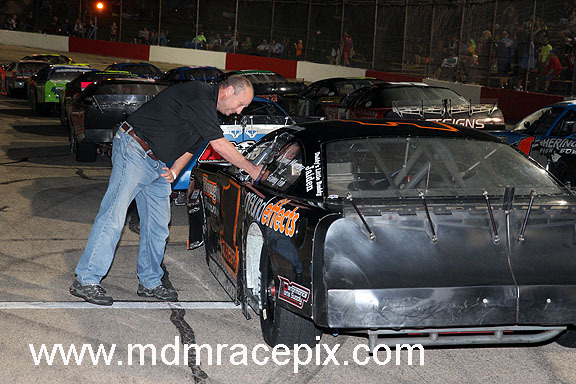 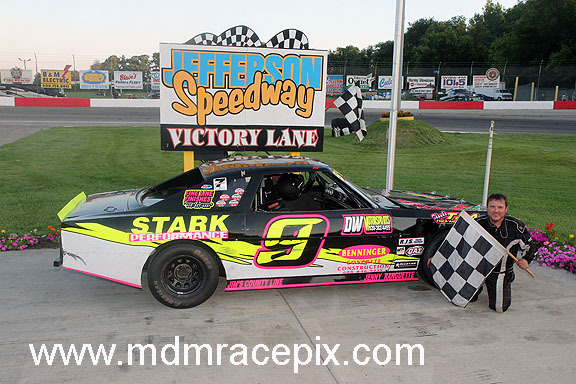 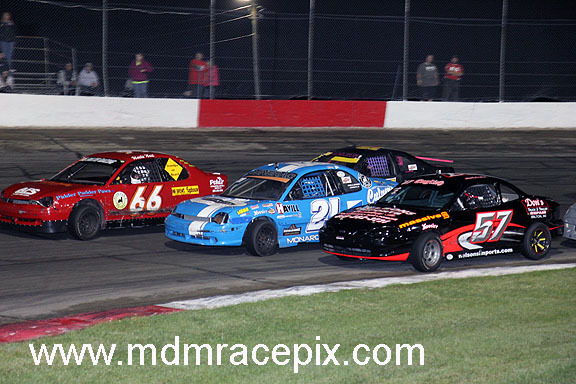 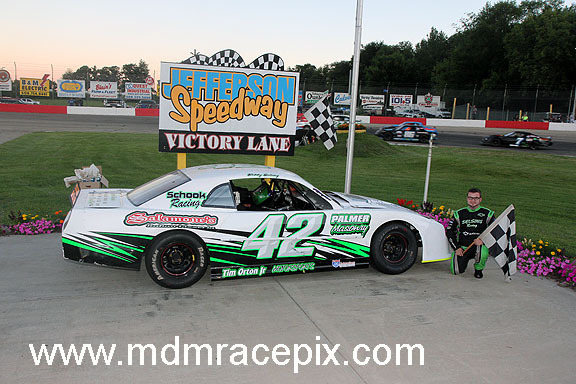 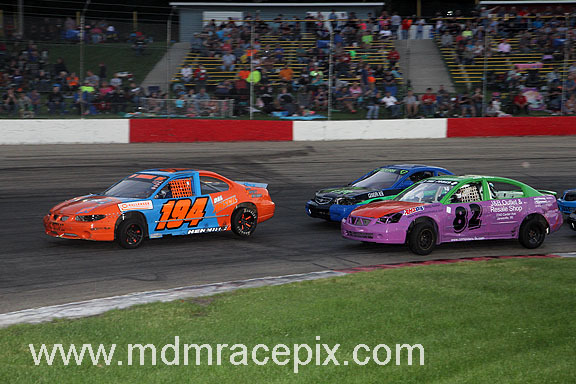 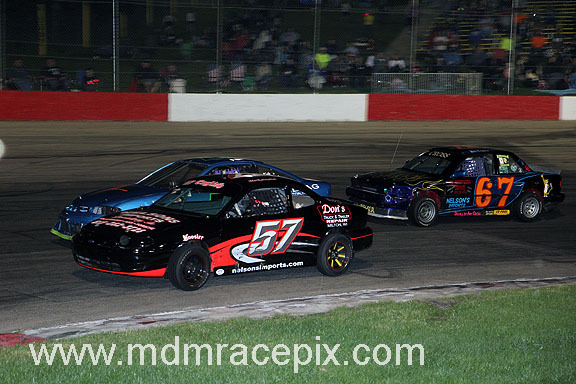 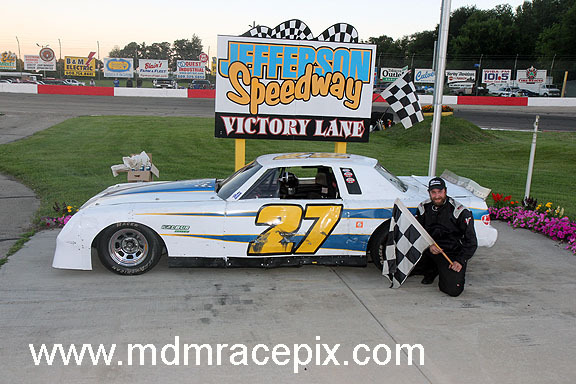 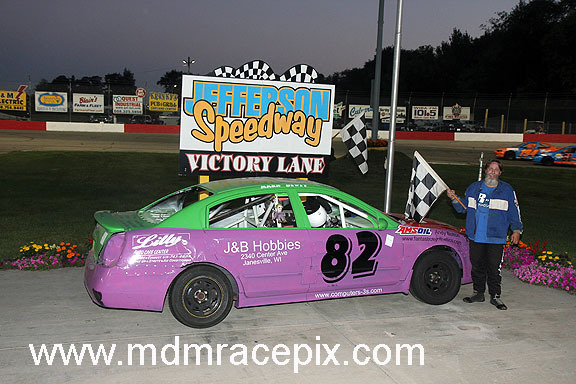 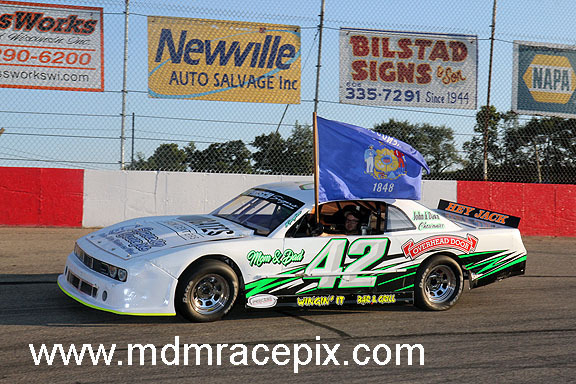 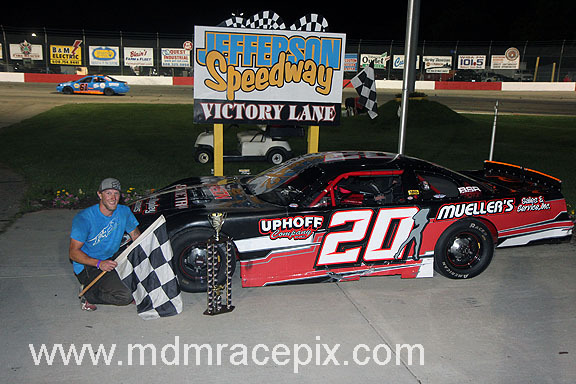 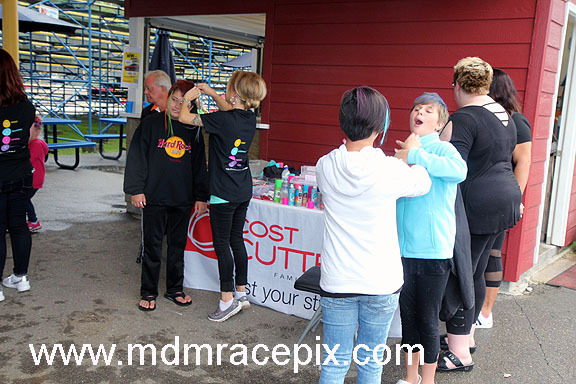 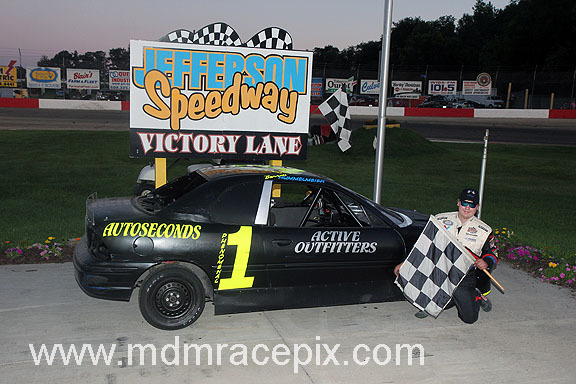 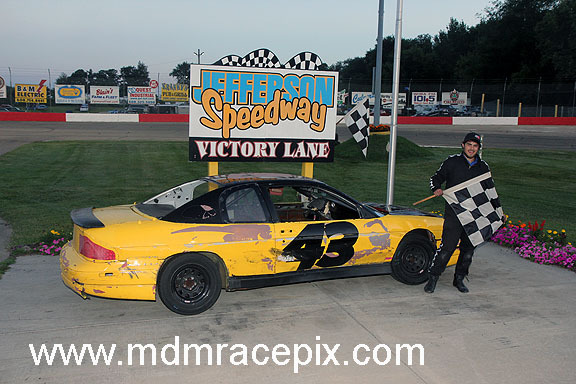 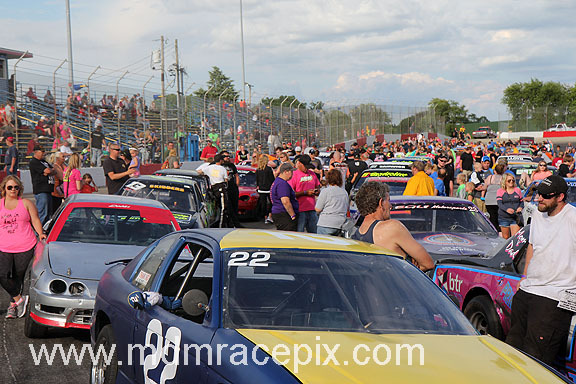 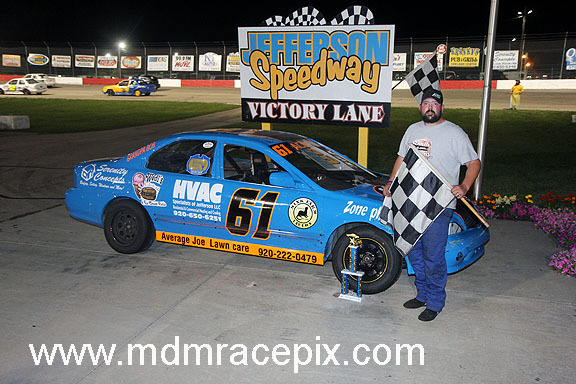 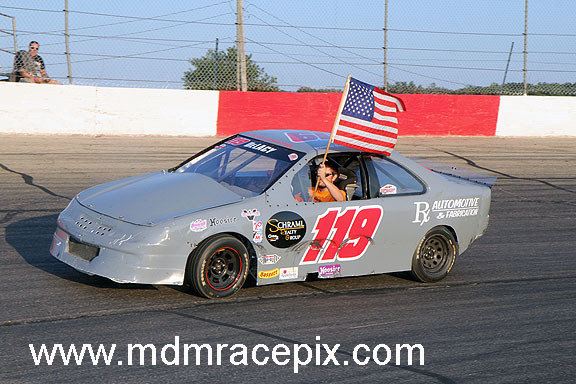 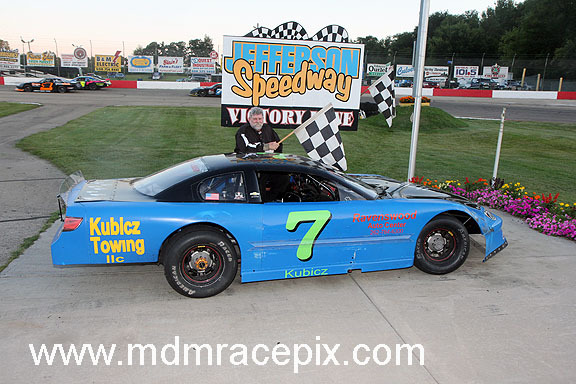 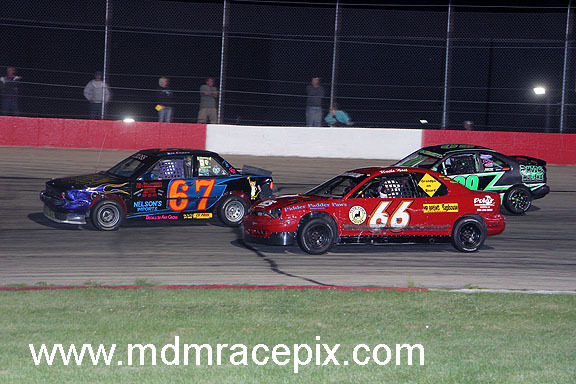 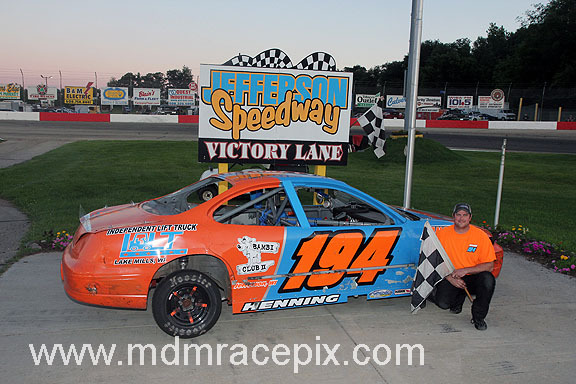 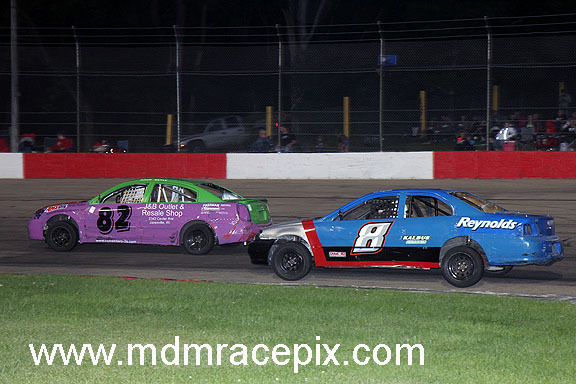 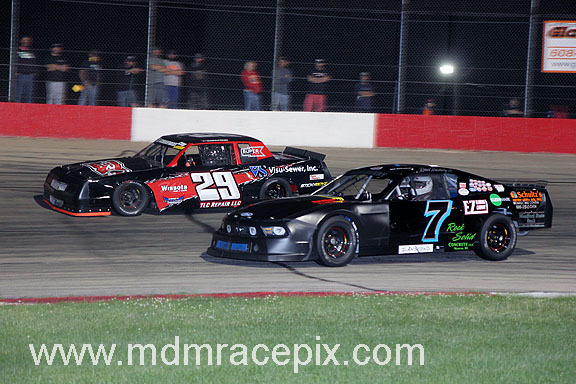 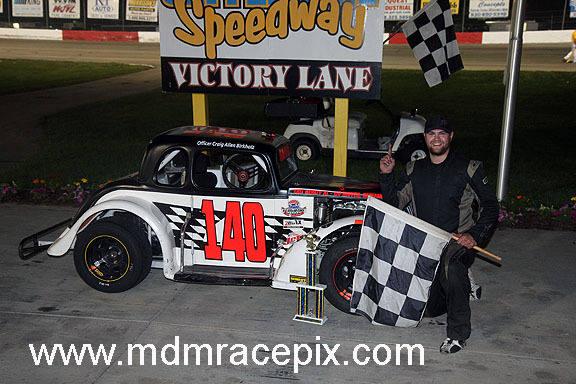 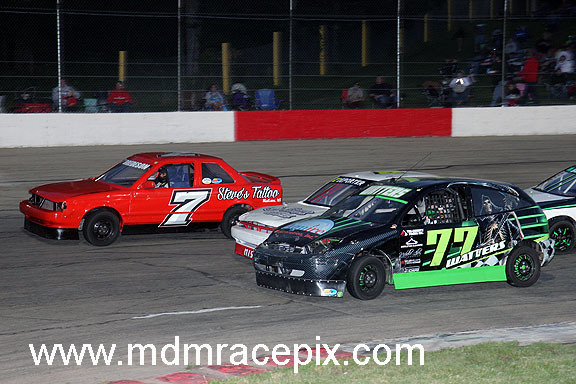 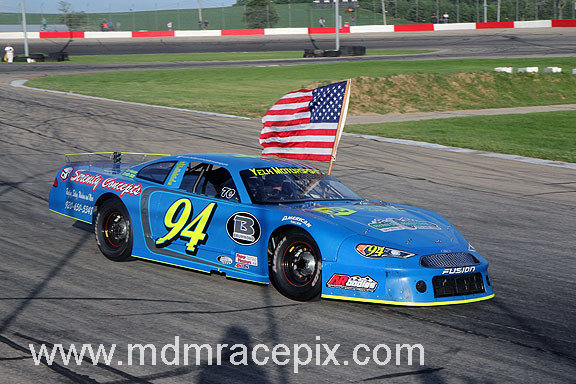 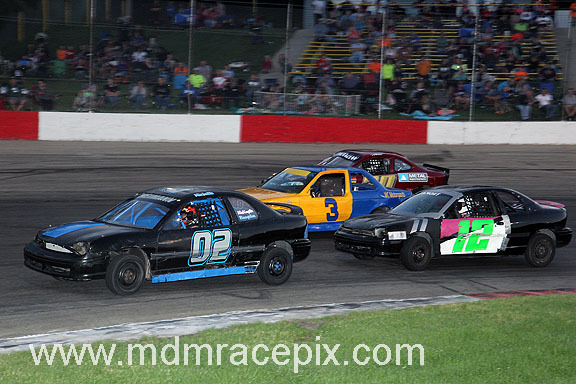 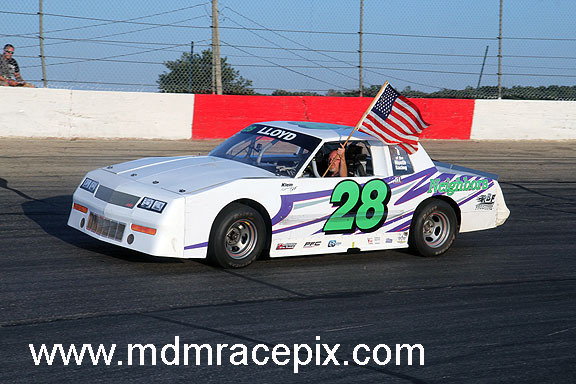 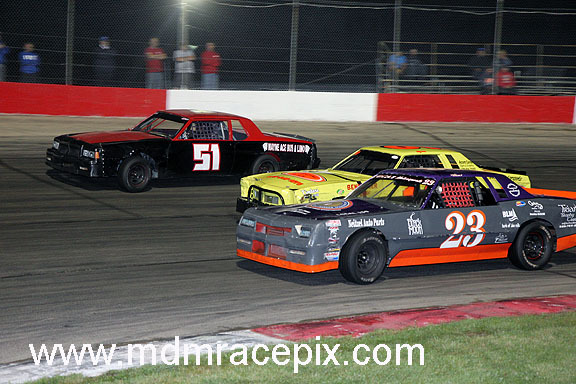 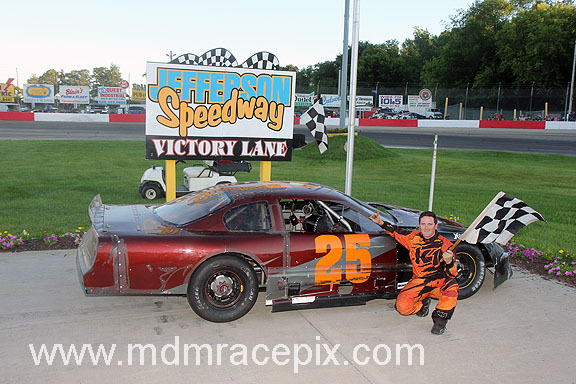 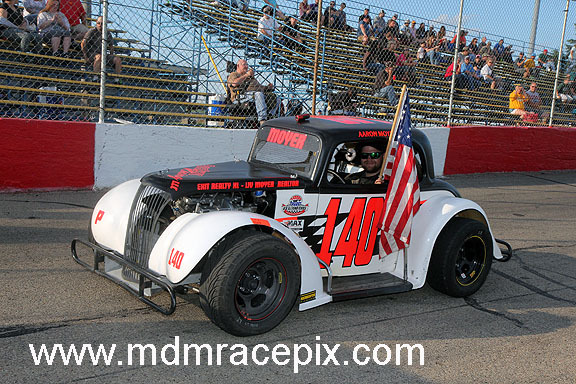 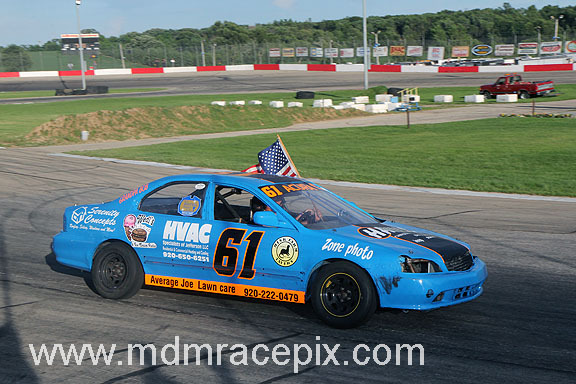 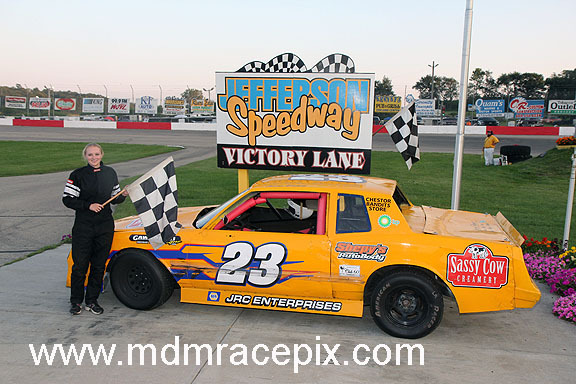 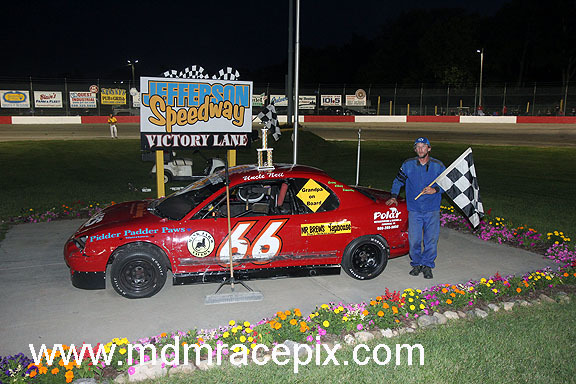 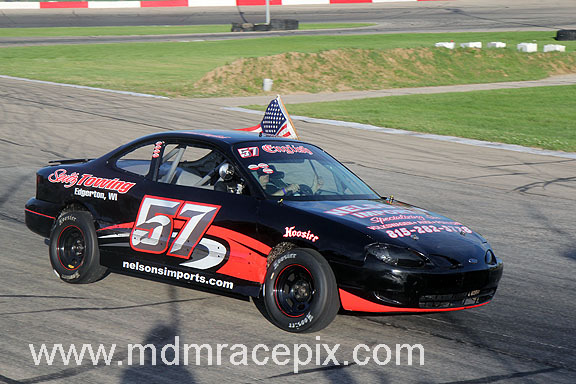 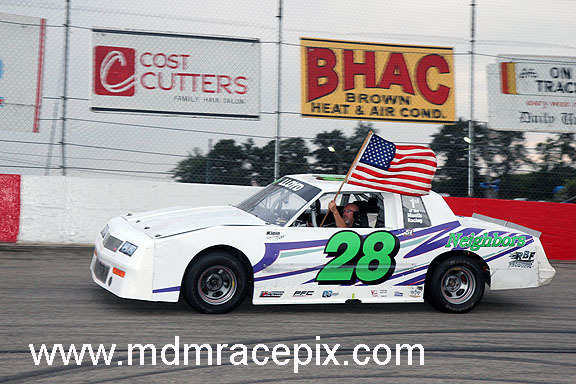 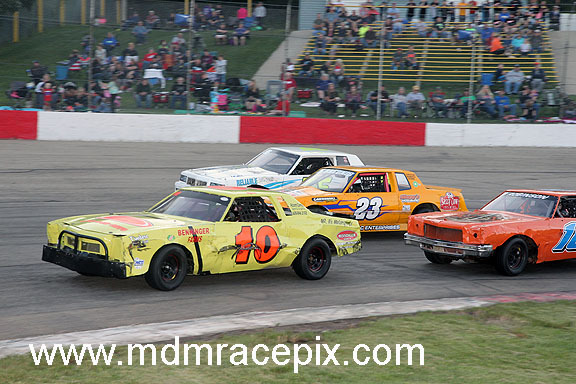 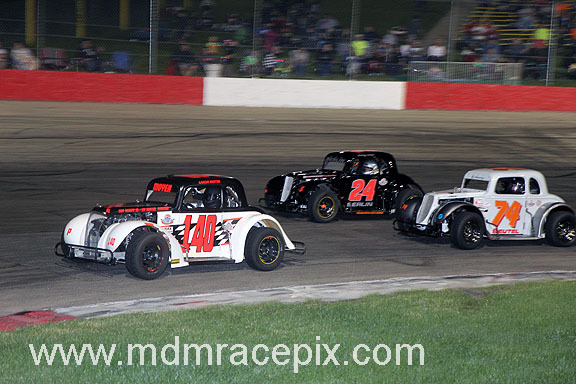 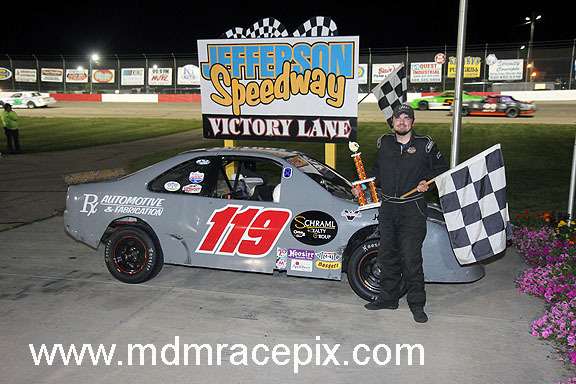 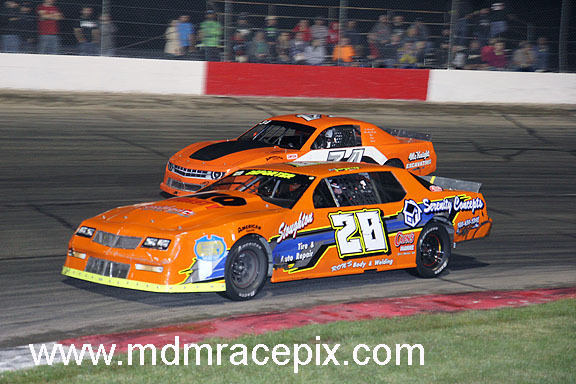 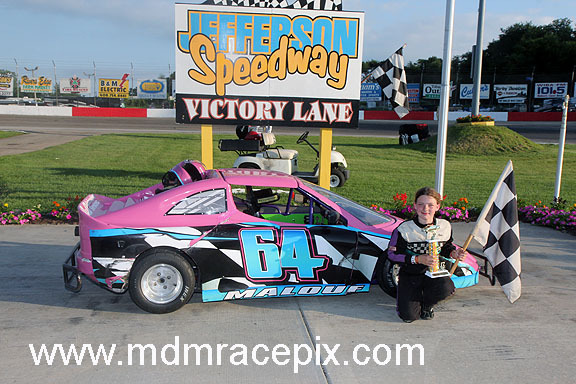 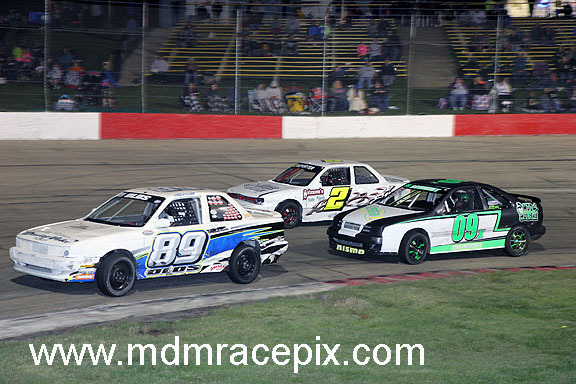 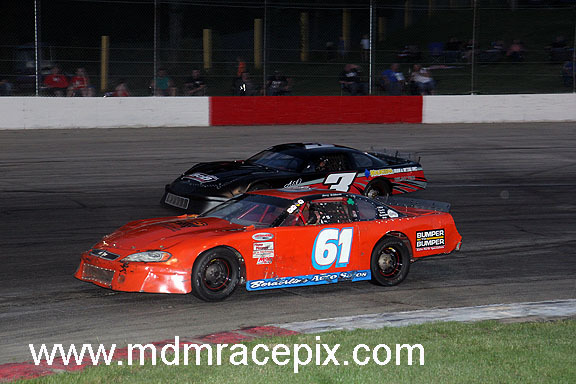 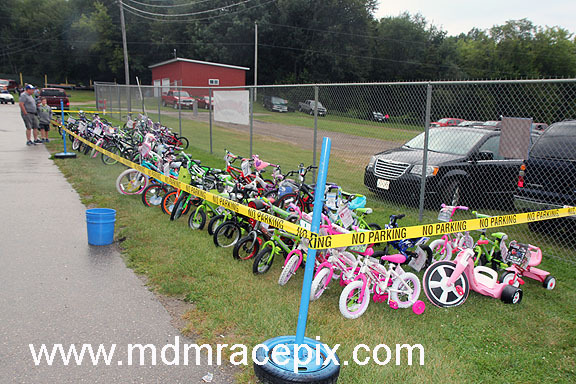 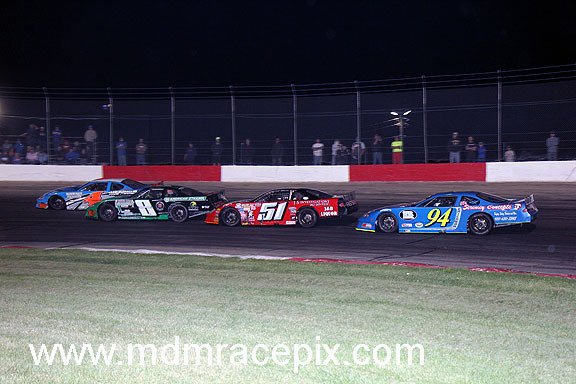 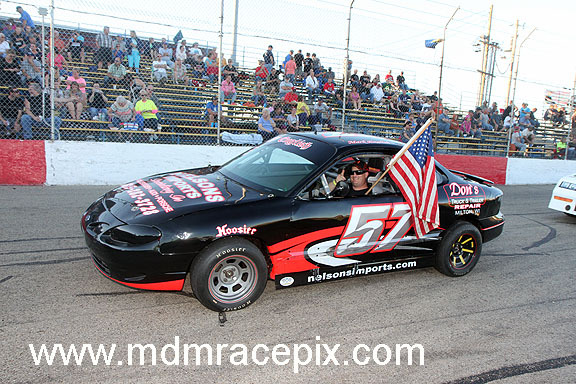 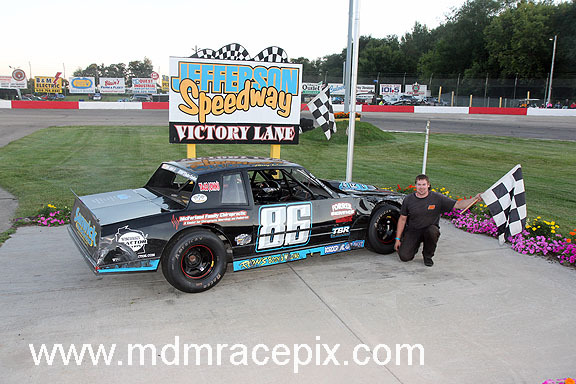 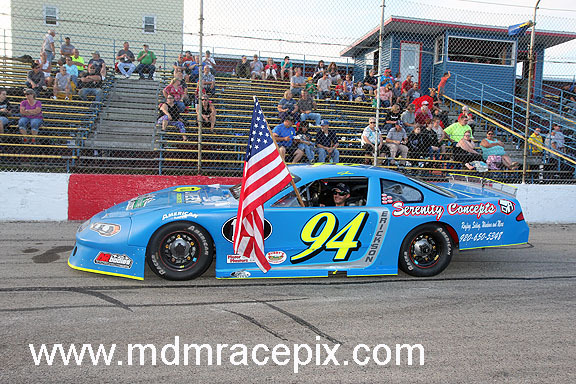 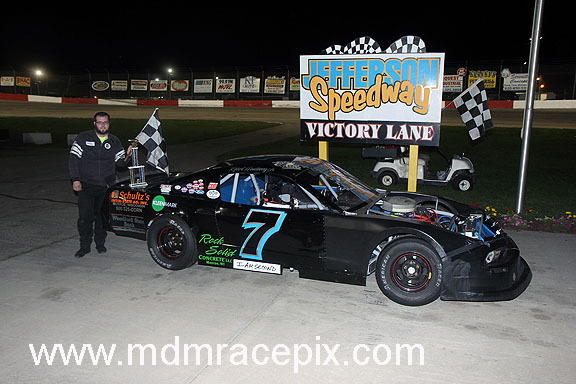 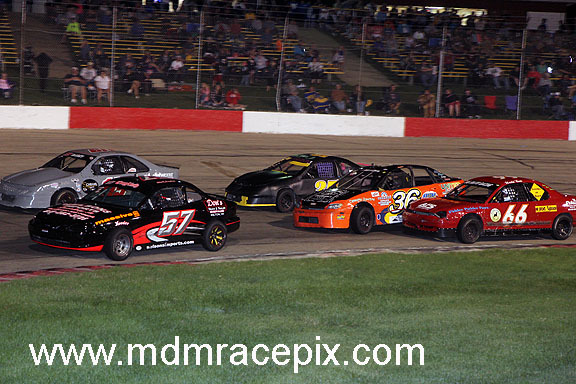 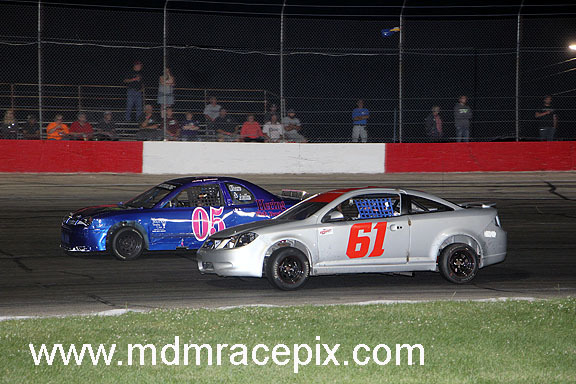 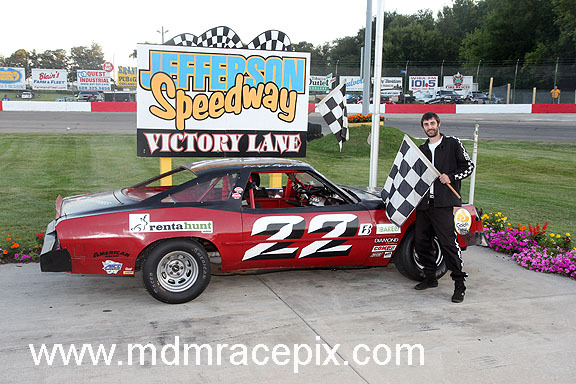 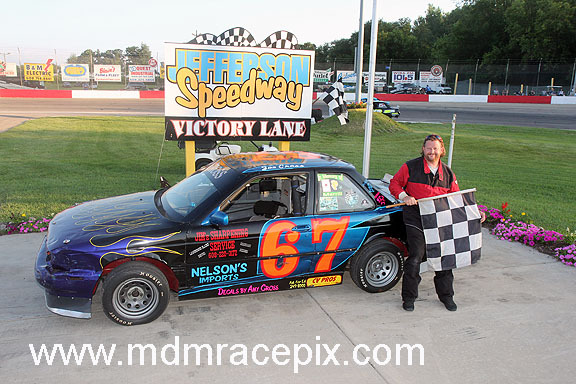 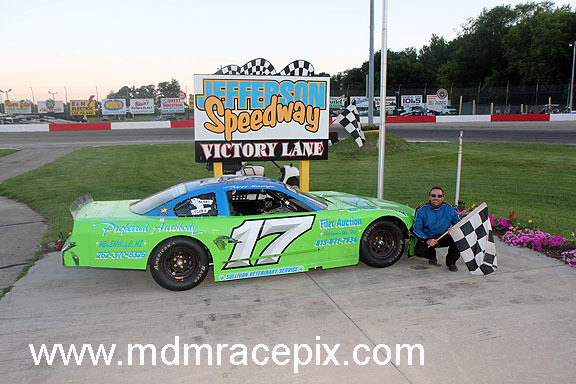 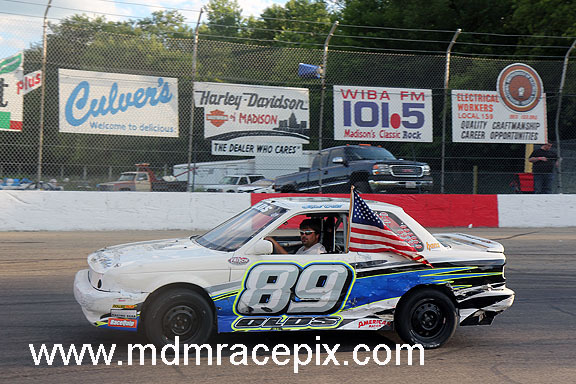 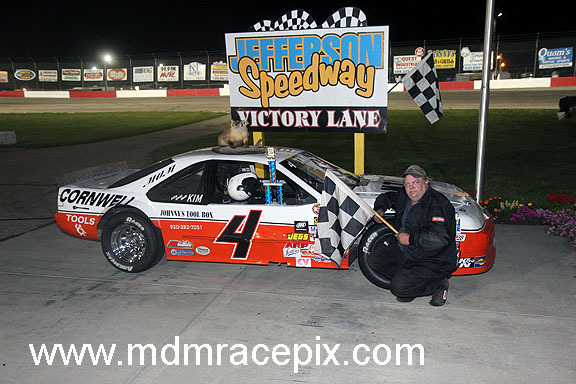 Instead, the second of three nights of racing between Slinger Speedway and Madison International Speedway took place on the tricky quarter mile. 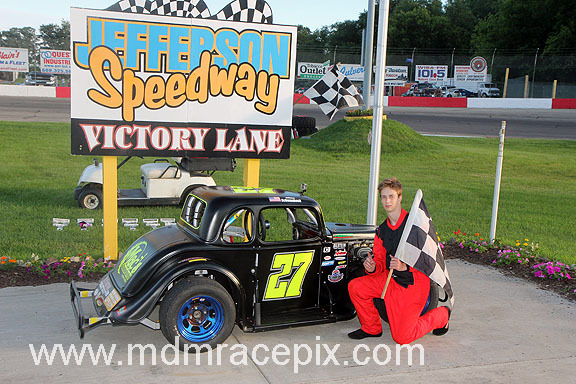 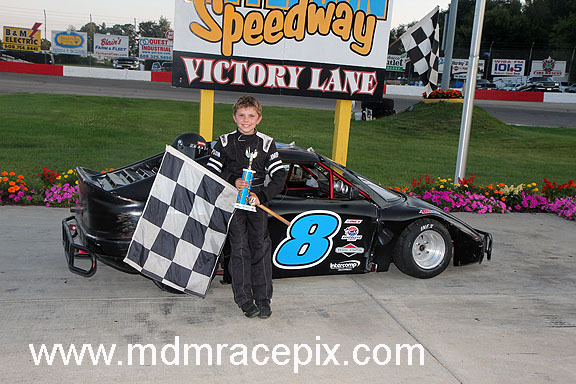 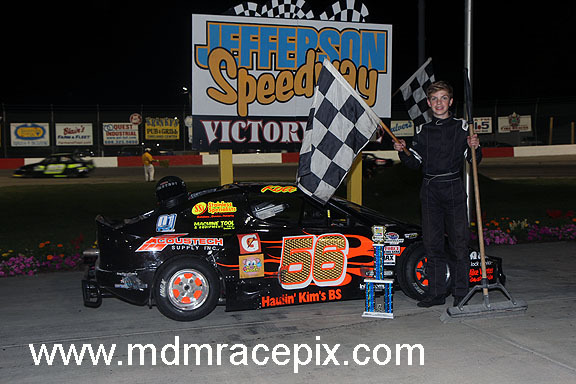 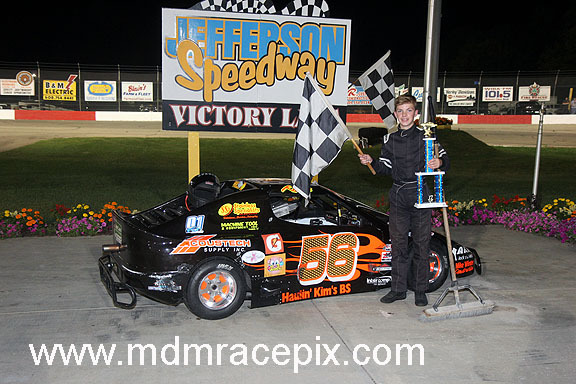 Youngster Jacob Nottestad grabbed the lead early on and hung on through a late restart to capture the checkered flag. 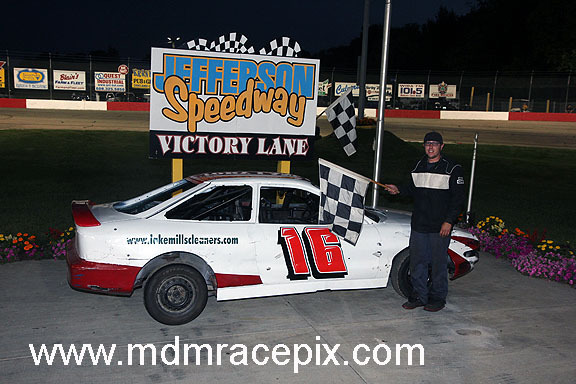 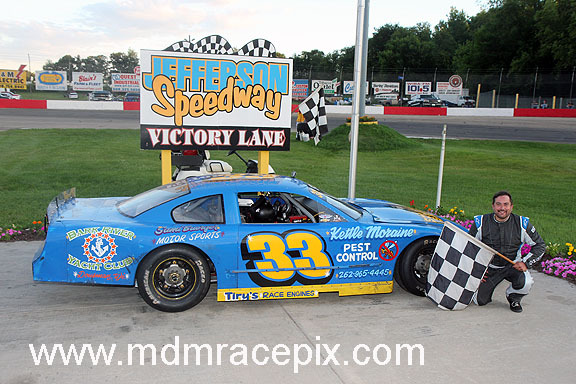 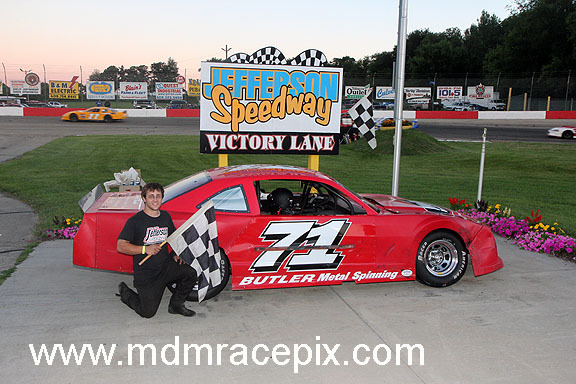 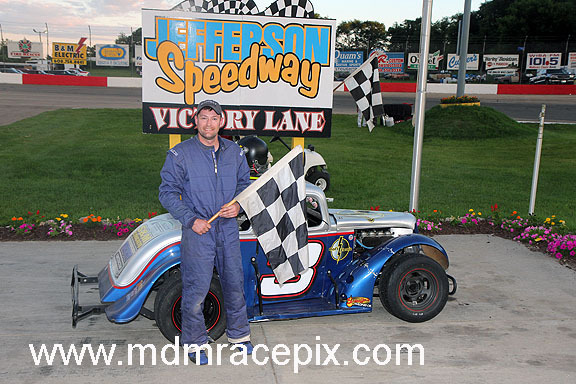 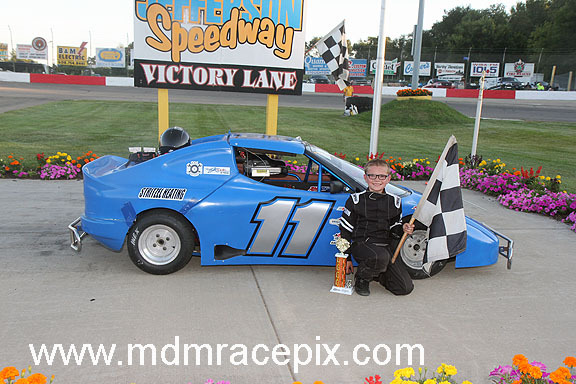 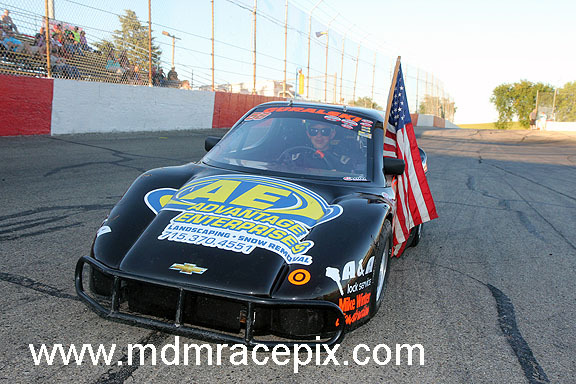 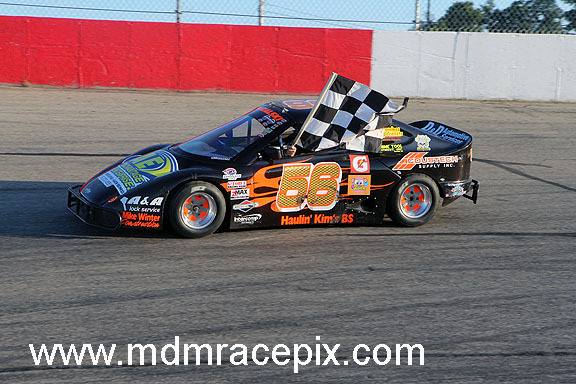 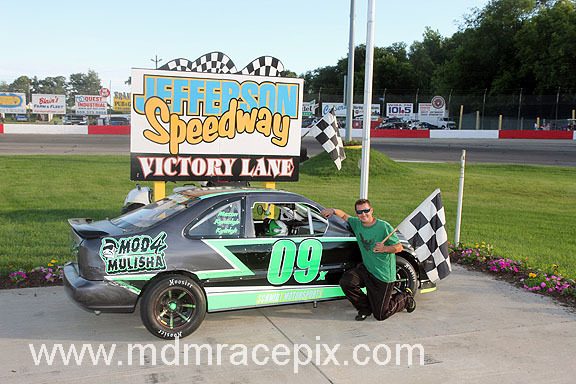 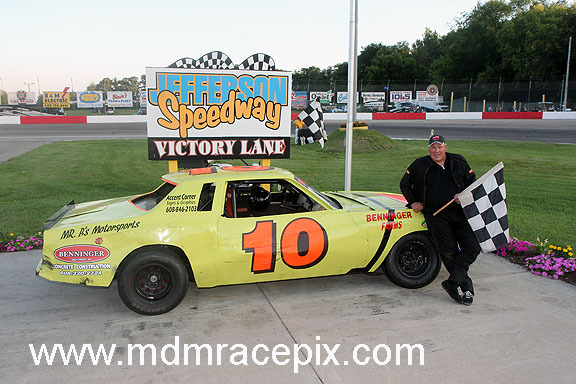 It’s the second feature win of the season for the budgeoning Late Model pilot from Utica. 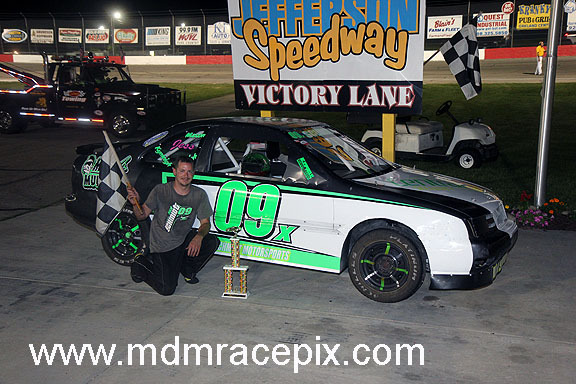 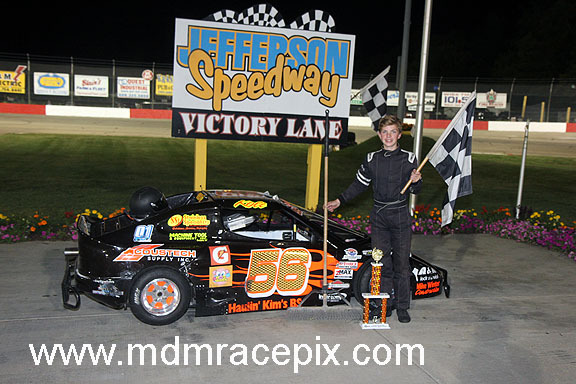 JEFFERSON, Wis. (July 23, 2017) – It was a night for the up-and-coming standouts of Super Late Model racing to shine. 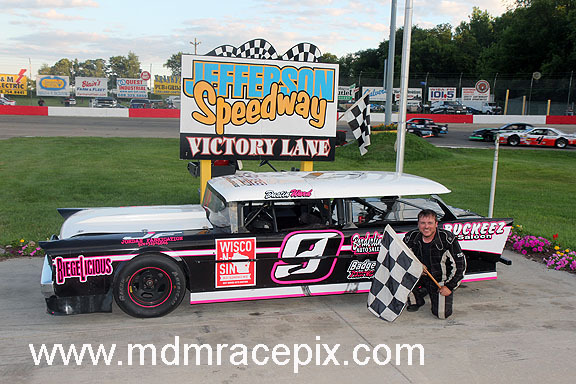 But no one quite had the glimmer of Wyatt Brooks, as he picked up his first TUNDRA Super Late Model Series win in Round Three Powered by Wisconsin Potatoes at Jefferson Speedway Saturday night. 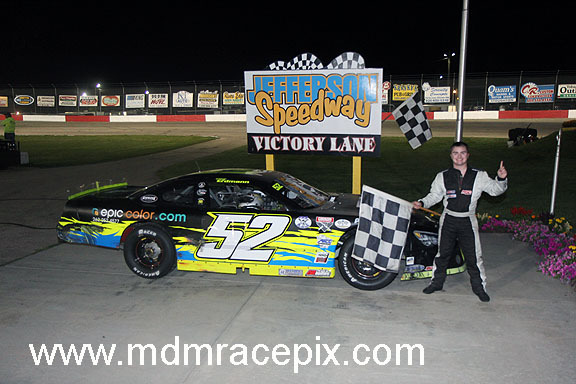 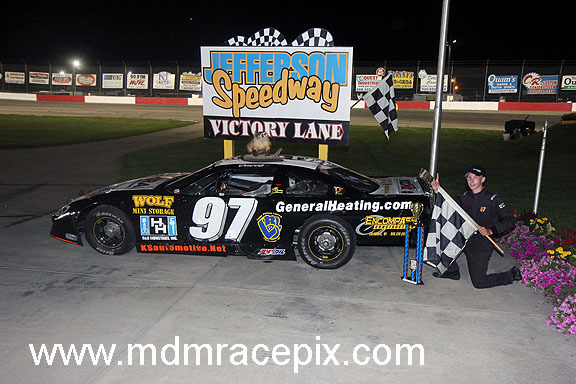 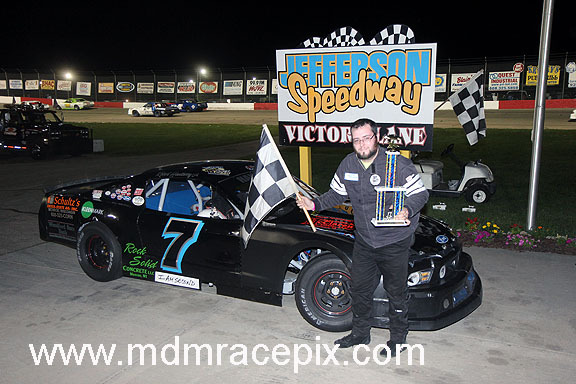 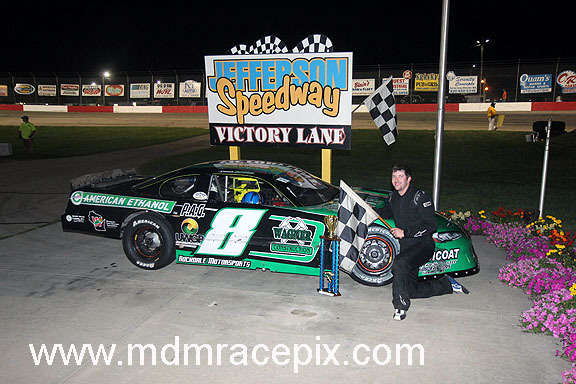 The 22-year-old Amherst, Wis. native took control of the 75-lap feature from the outset and withstood two hearty challenges in the final 14 laps from Dean’s Satellite and Security Rookie contenders Jordan DeVoy and John Beale. 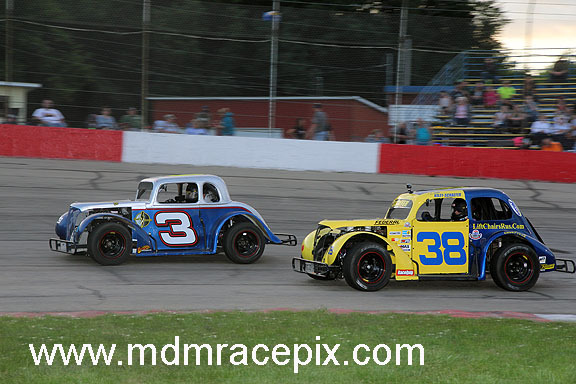 Perhaps the most impressive facet of Brooks’ win was how the racer with very little experience at the tricky quarter-mile mastered the outside lane – especially on restarts. 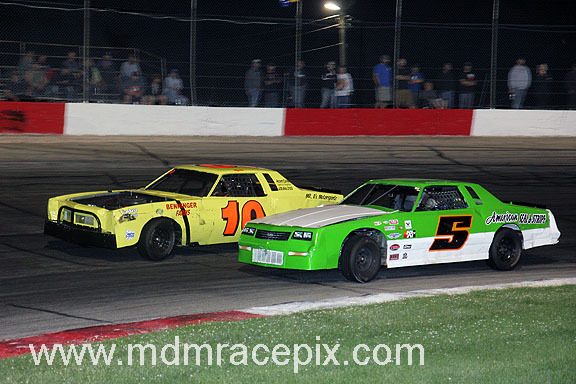 With his choice of either lane each time the barrel was placed to double up the field, Brooks chose the outside. 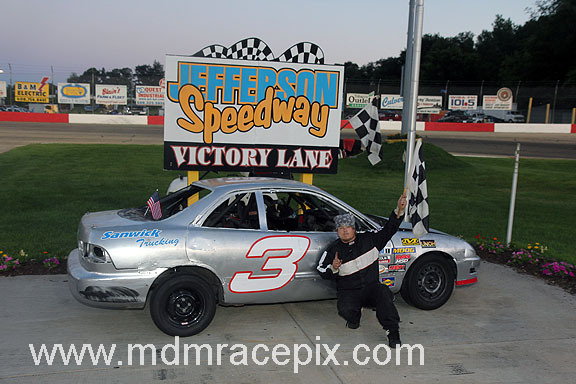 “My car was so tight the entire day,” Brooks said in Victory Lane. 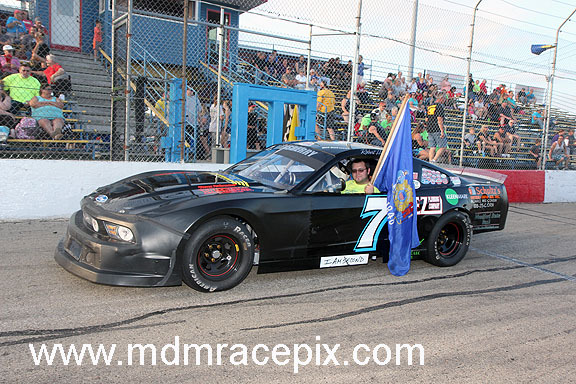 “I couldn’t have started in a better spot than the outside pole with the car I had.” Brooks secured the lead from fellow front-row starter Grant Griesbach just two laps after the green flag dropped. 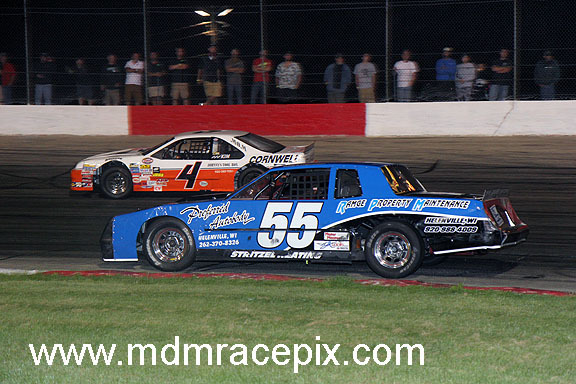 Behind him, teammate Jordan Thiel slid to Second and looked to close in to challenge for the top spot. 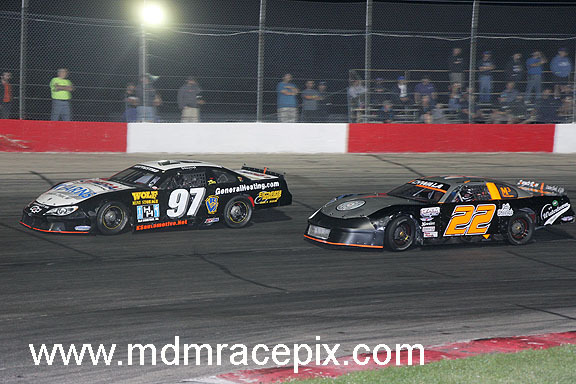 A caution on lap six gave Thiel the opportunity to start alongside Brooks, but Brooks stepped away. 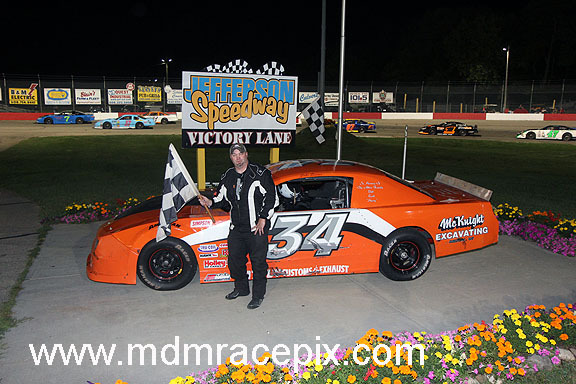 JEFFERSON, WI (Saturday, July 15, 2017) Dale Nottestad of Cambridge charged to the front of the field on Saturday night on his way to capturing the O’Reilly Auto Parts 50 lap Late Model main event. 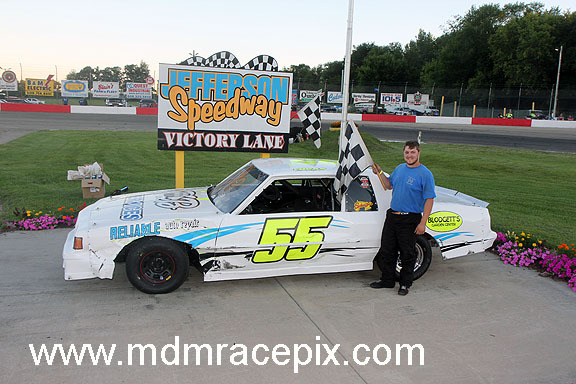 This win marks the first for the Clifcorn Motorsports Chevrolet since August of last season. 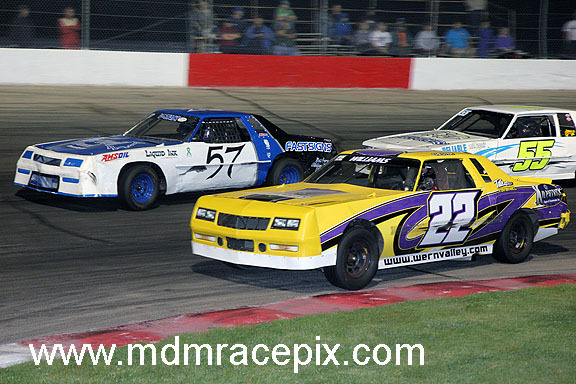 Despite the lack of wins this season until now, Nottestad is parked firmly in the top five in points as he searches for his fourth track championship in the last five seasons. 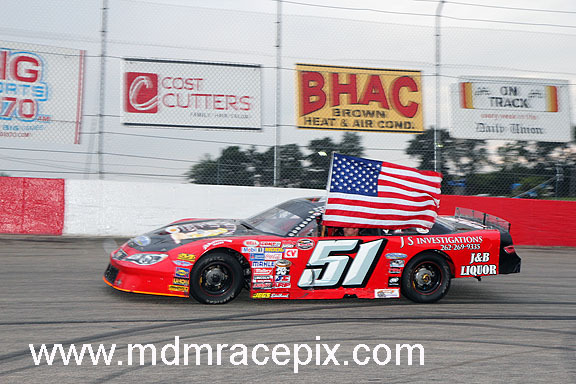 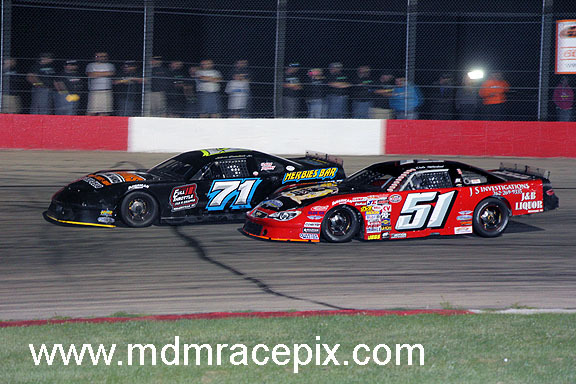 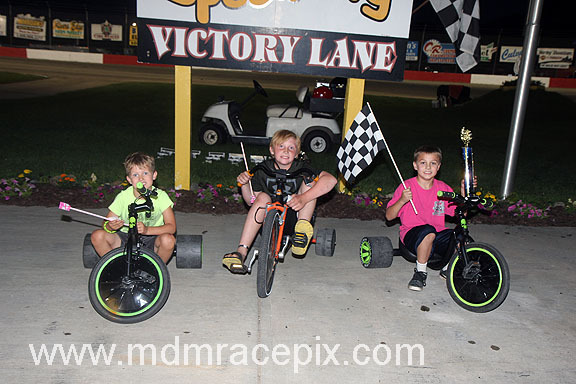 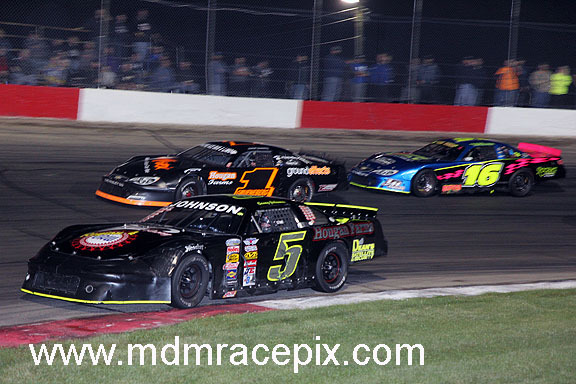 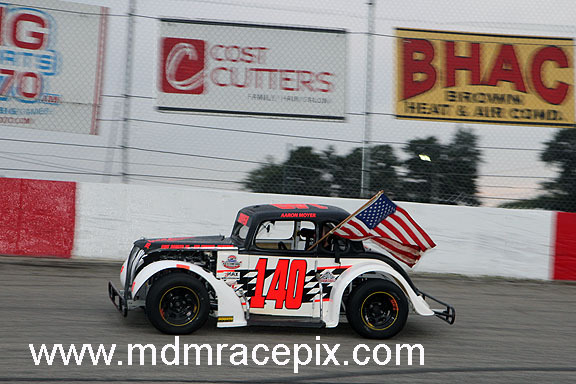 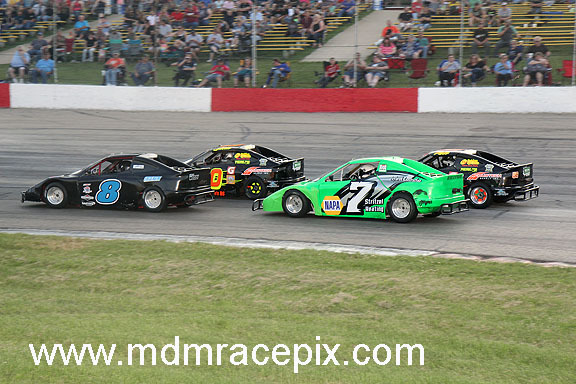 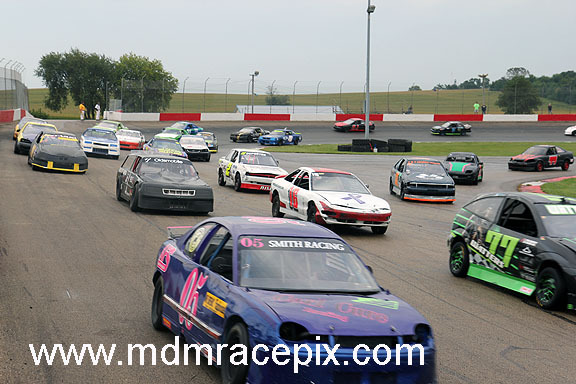 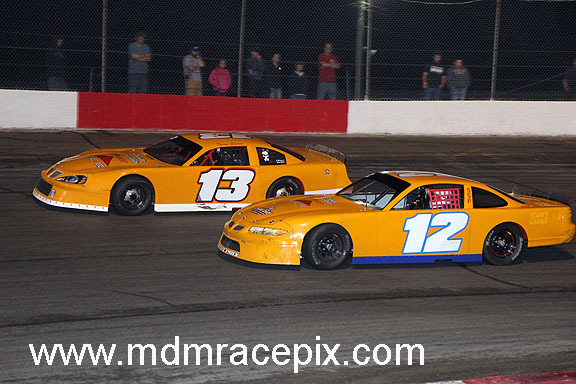 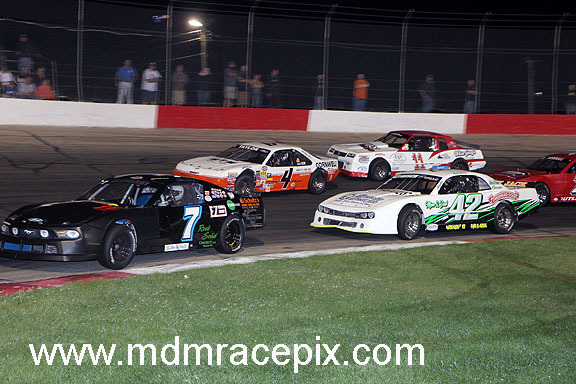 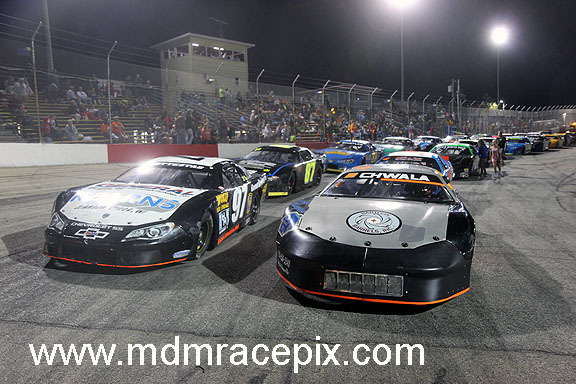 Dylan Schuyler and Kyle Taylor paced the field to green with Schuyler taking the initial lead on the opening lap. 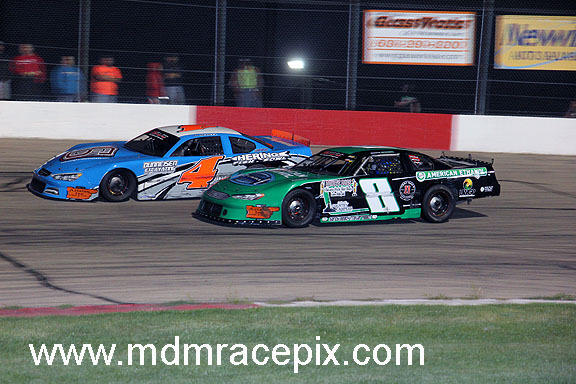 Taylor looked loose as they came to green and he fell back into a battle with Noel Ramge for second. 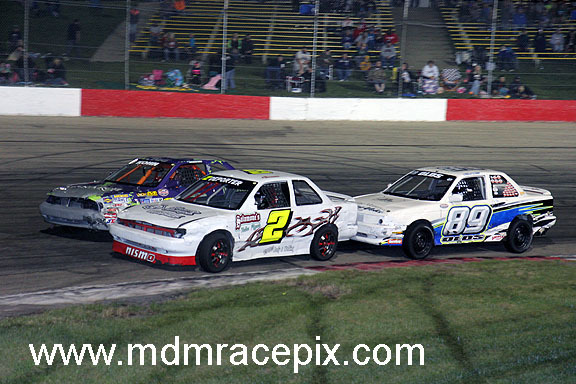 On lap two, John Ovadal Jr got sideways off turn two and collected the point leader, Shaun Scheel to force the first of two early cautions. 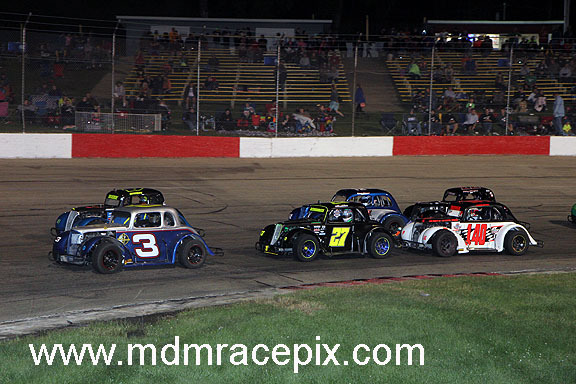 The leaders raced single file through the second caution on lap eight when Nottestad began to make his trek through the top five. 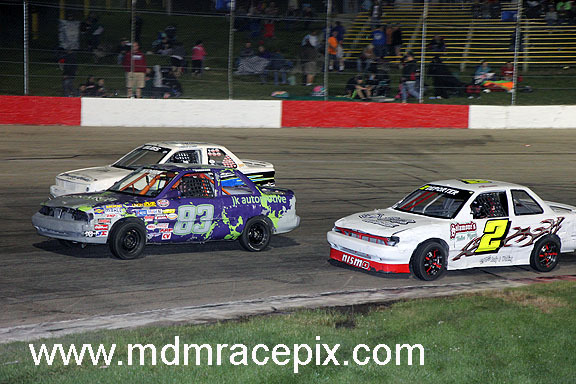 As racing resumed on lap nine, Nottestad dove under Steve Dobbratz in a battle for fourth. 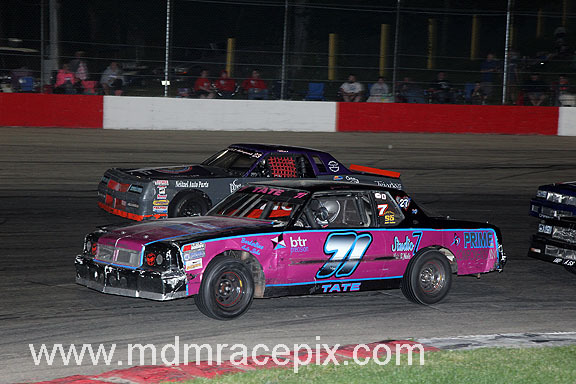 Nottestad quickly moved up alongside Taylor to grab third on lap 12. 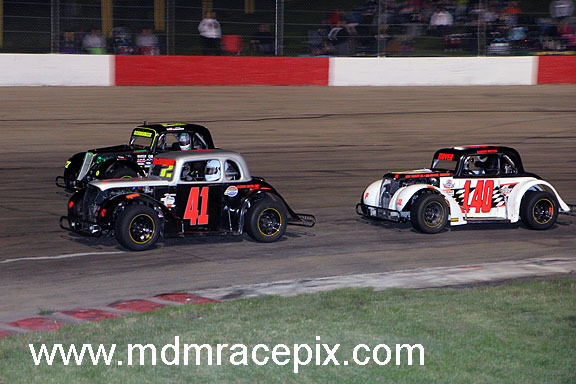 At the same time, Ramge began to challenge Schuyler for the top spot while Nottestad pulled up behind them. 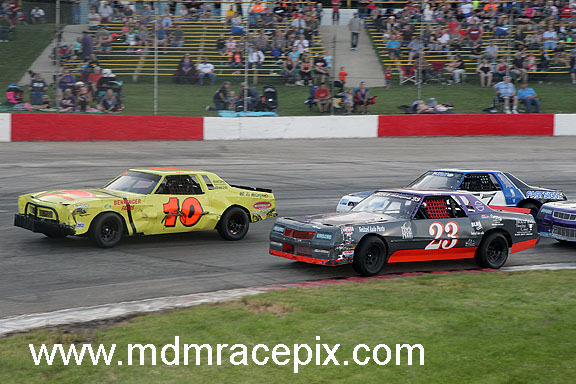 Ramge got under Schuyler as they raced off turn two on lap 17. 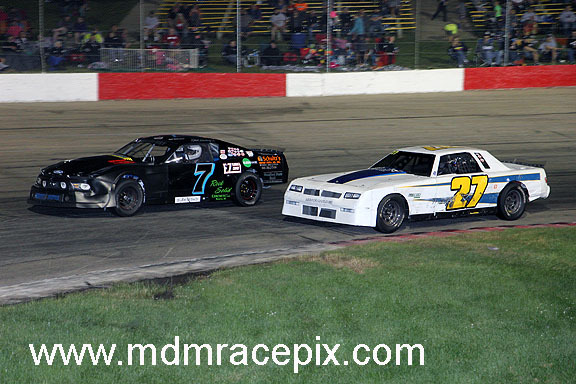 Nottestad watched the battle closely from third as Ramge began to chip away at Schuyler for the lead. 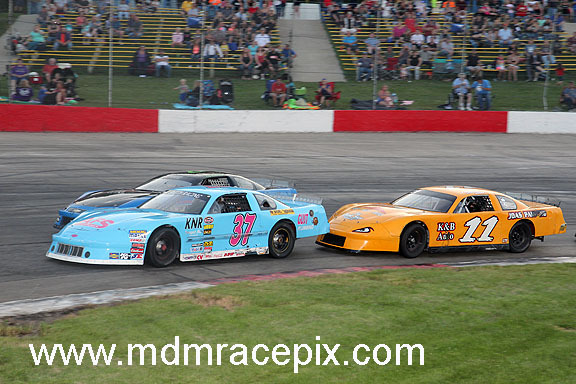 Ramge finally cleared for the top spot on lap 19 with Nottestad filling the gap under Schuyler. 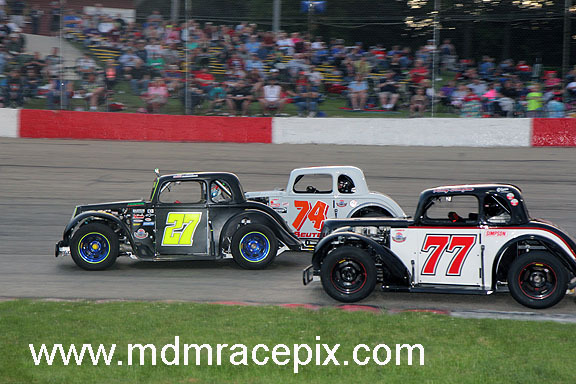 After racing side by side for several laps, Nottestad cleared for second on lap 27 and began to reel in Ramge at the front. 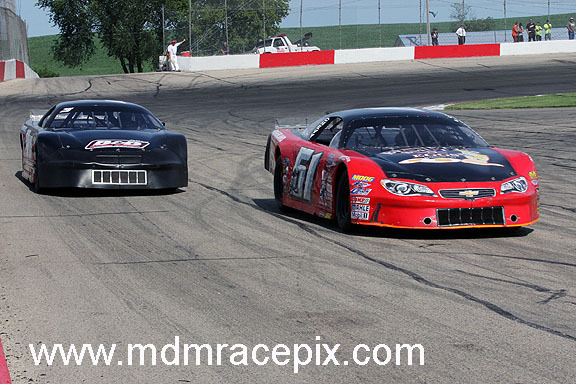 Lap after lap, Nottestad edged closer to the leader. 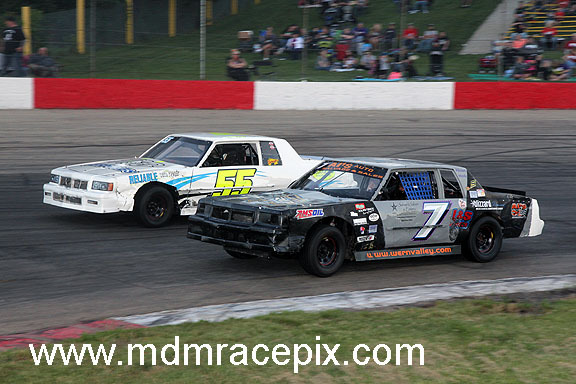 With ten laps to go, Nottestad caught Ramge and fired under him through turns three and four. 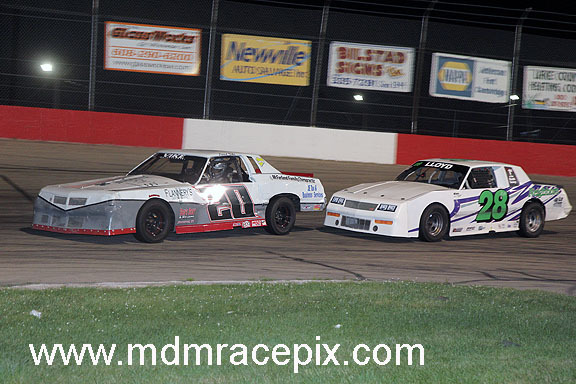 Nottestad stuck his nose into the lead as they completed the lap. 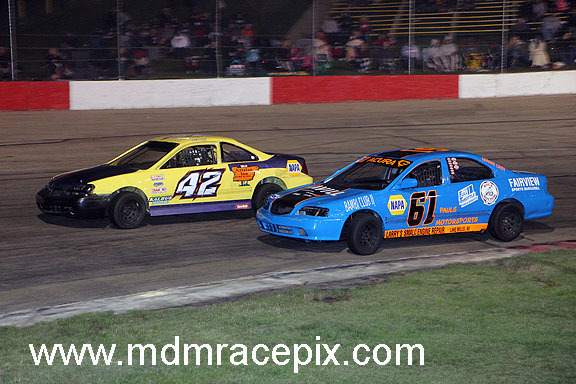 From there, the race belonged to the three time and defending Late Model champion. 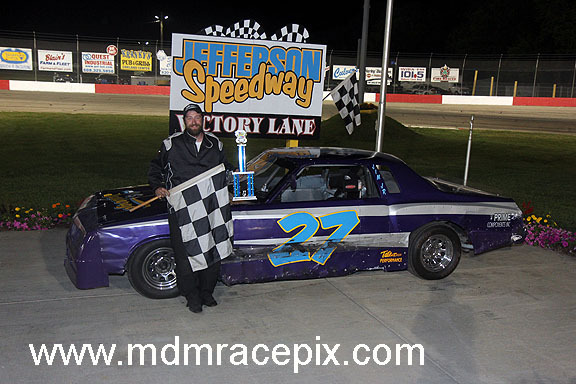 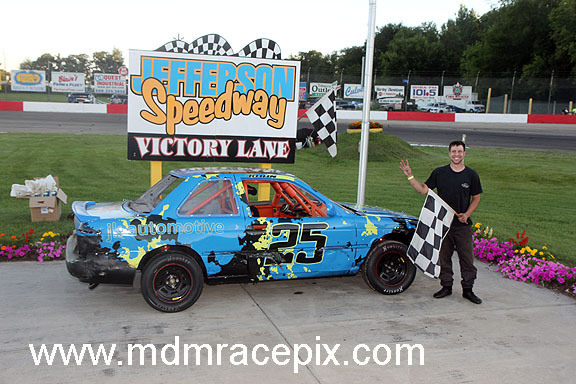 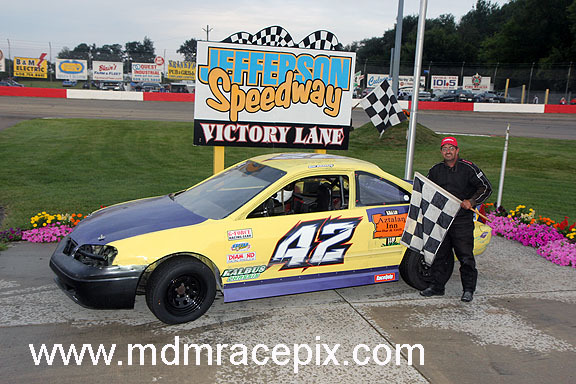 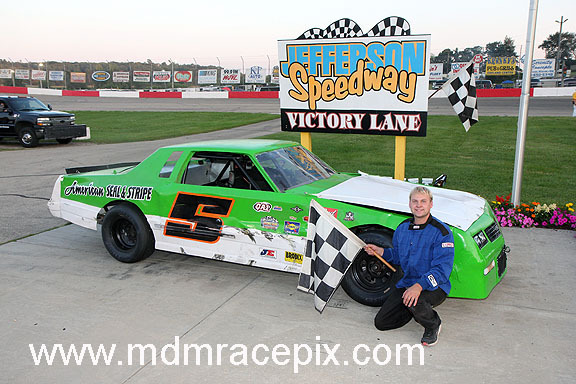 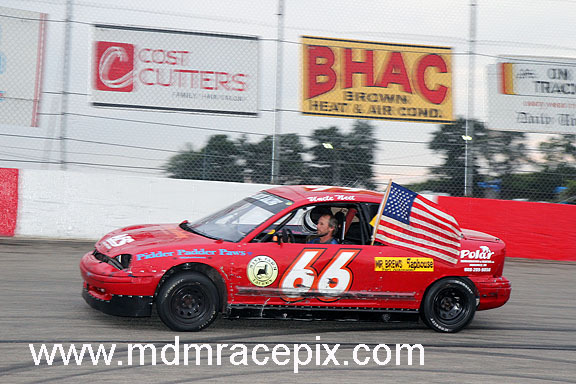 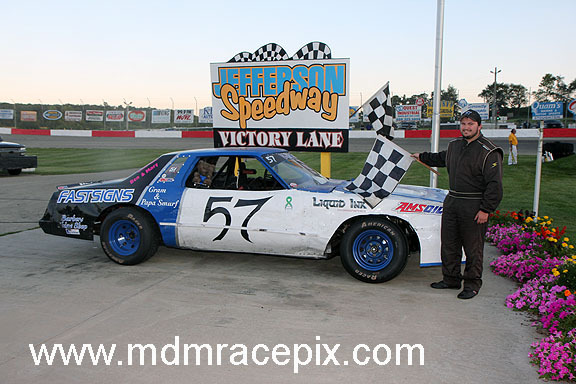 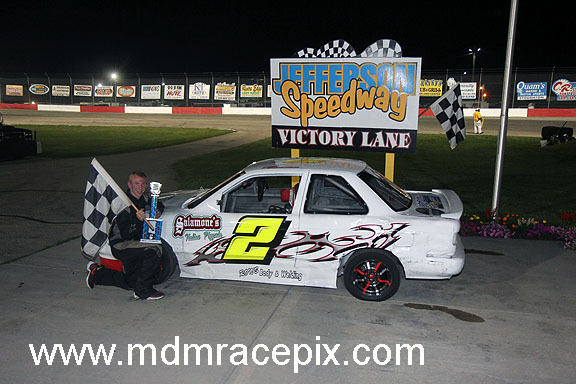 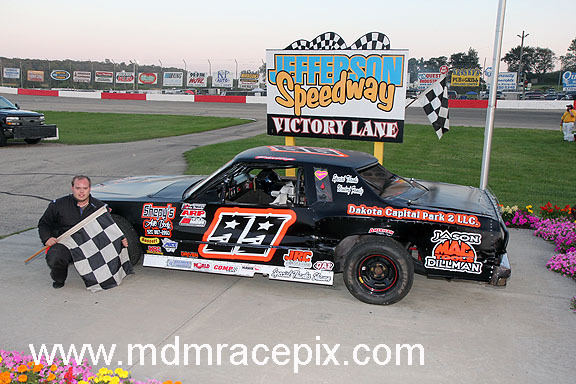 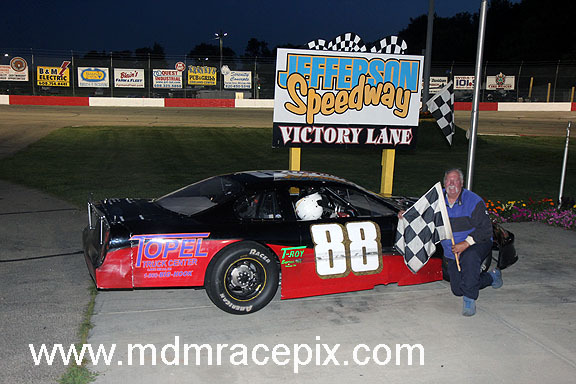 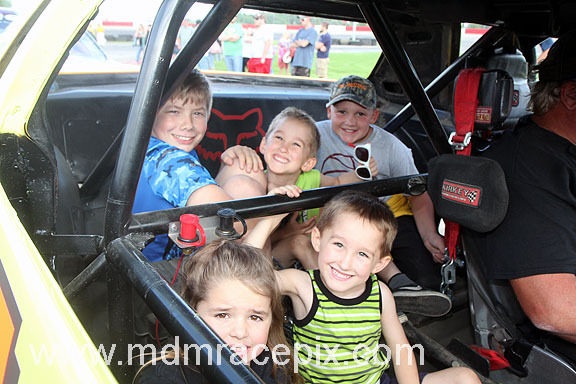 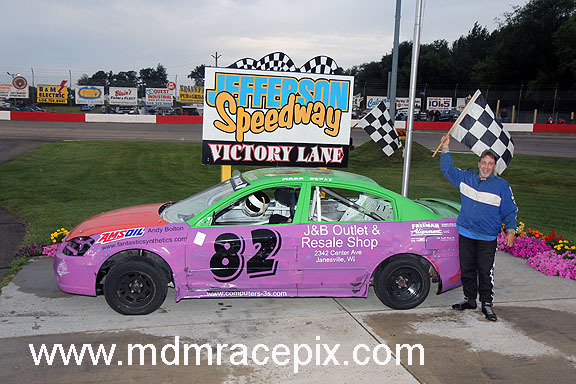 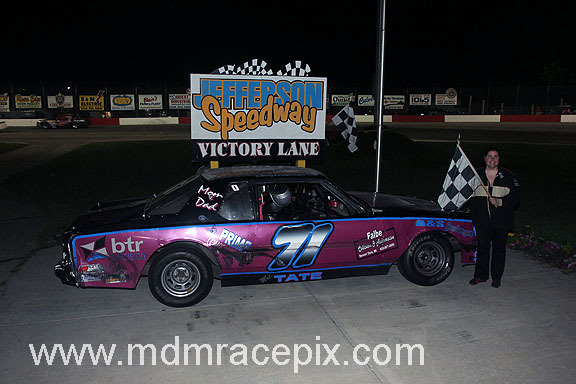 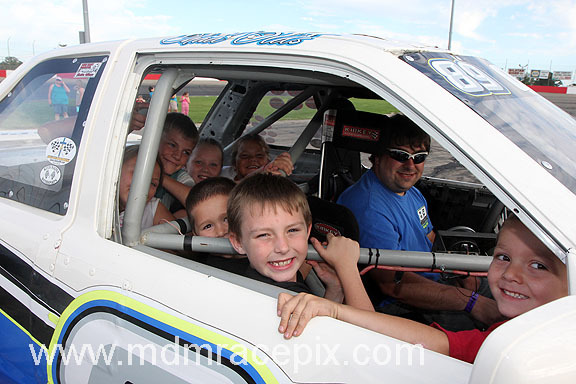 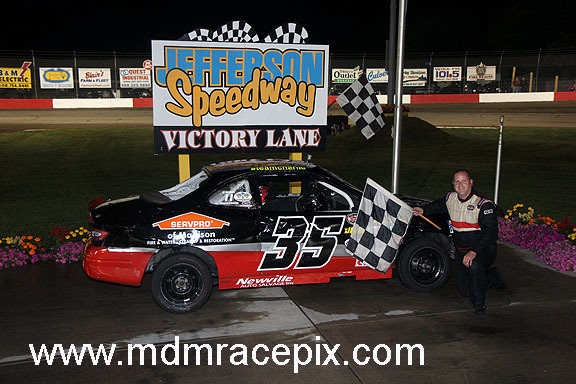 At the checkers, it was Nottestad for the win followed by Ramge, Luke Westenberg, Jason Erickson and Michael Grueneberg. 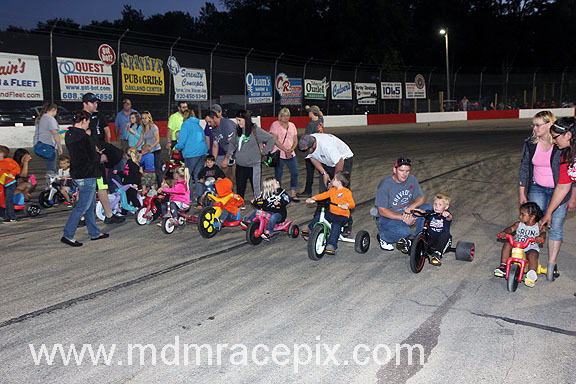 Due to poor track conditions, tonight's practice has been canceled.